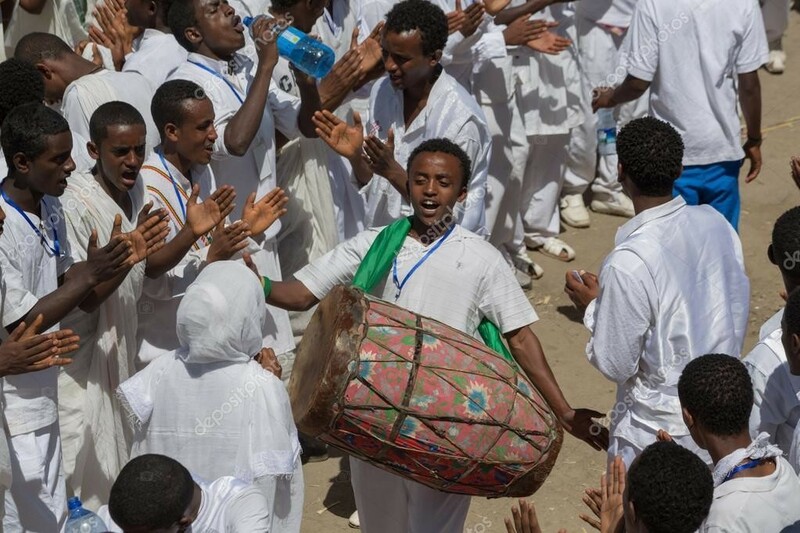 The sistrum was a sacred musical instrument in the ancient Ethiopian. 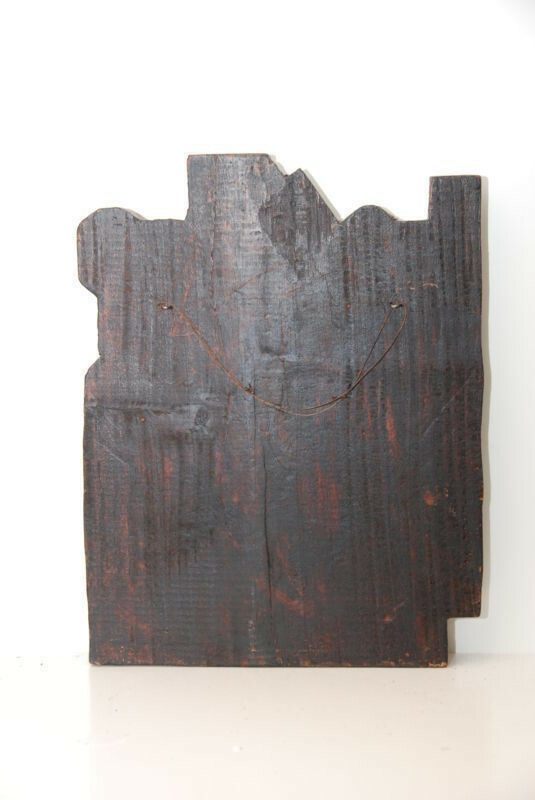 Possibly, originating in the worship of the Bastet, the musical instrument was used in religious ceremonies and dances, especially in the worship of the goddess Hathor, with the U-shape of the instrument’s handle and frame seen as analogous to the face and horns of the cow goddess. 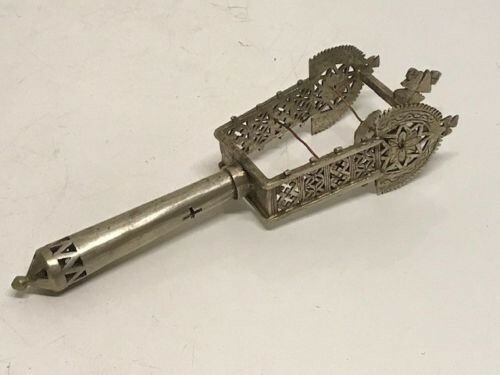 The sistrum was also shaken to prevent the flooding of the Nile and to scare away set. 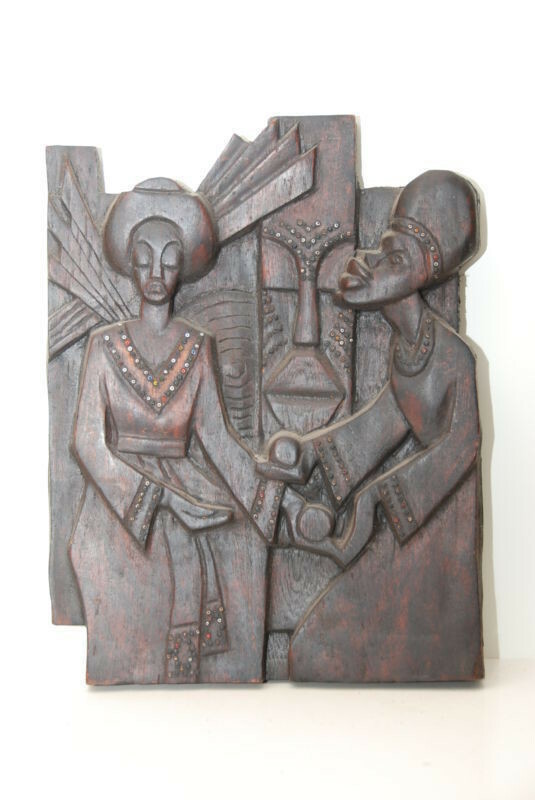 Isis in her role as the creator and the mother was portrayed holding a pail symbolizing the flooding of the Nile, in one hand and the musical instrument in the other hand. 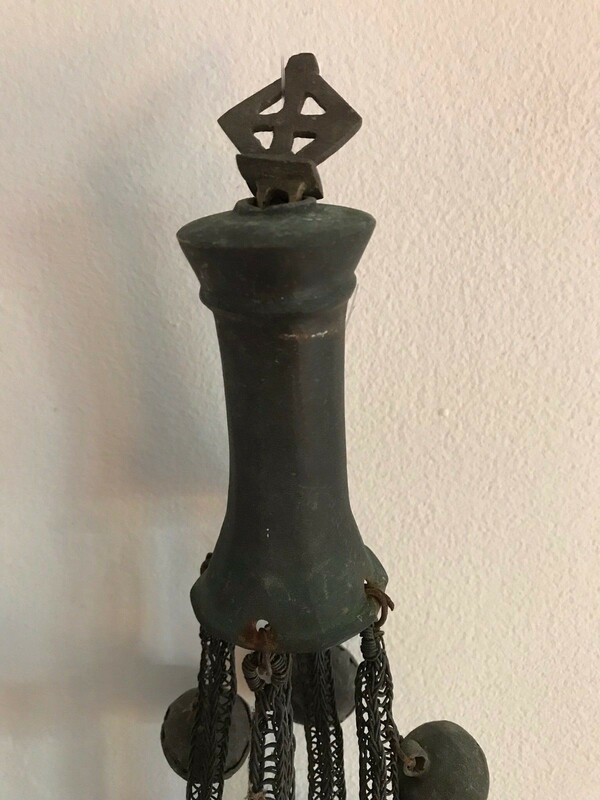 The goddess Bast too is usuallyportrayed hilding a sistrum that is symbolizing her role as a goddess of dance, festivity and joy. 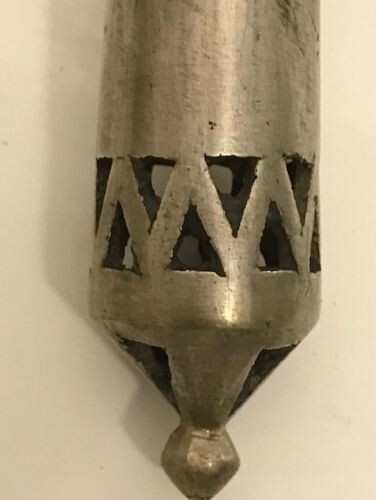 180603- Tribal used African Ethiopian sistrum from a Coptic Priest - Ethiopia. 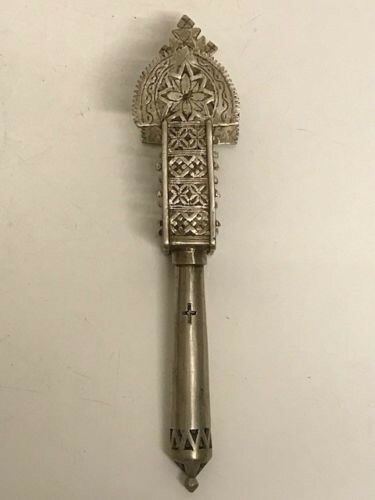 Ethiopia: Tribal used Old African Ethiopian sistrum from a Coptic Priest. 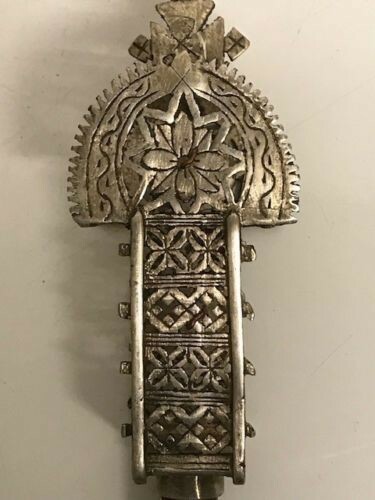 This Ethiopian Sistrum measures approximately 26.5 cm. 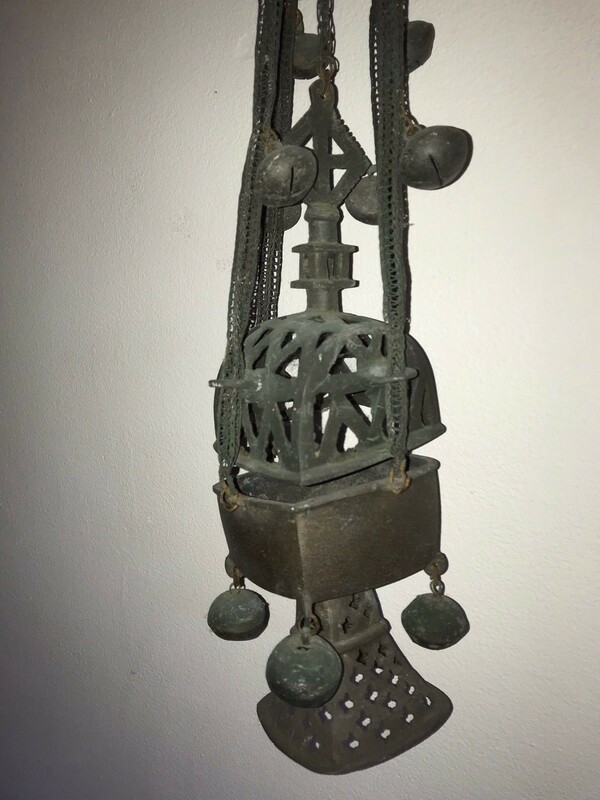 Oil lamps and Incense Burners. 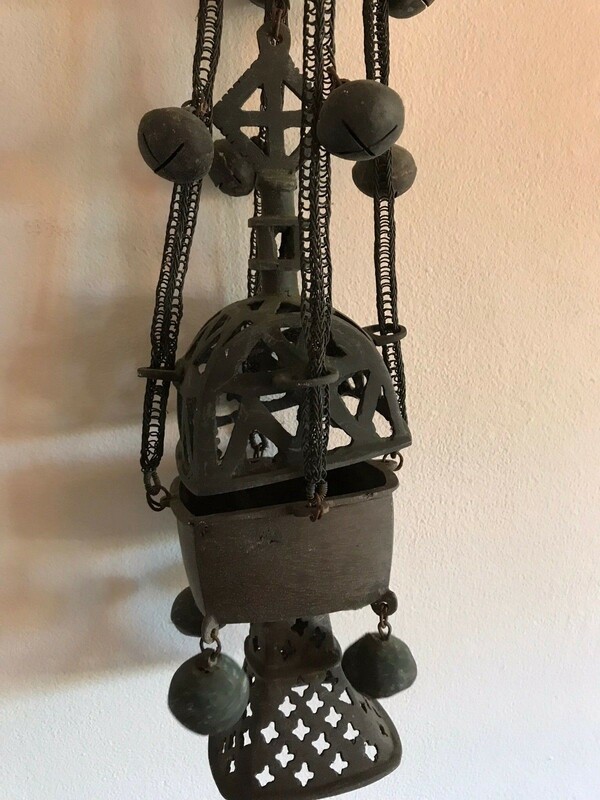 Incense plays a vital role within the Ethiopian Church, used in church services and prayers it is seen as an offering to God. 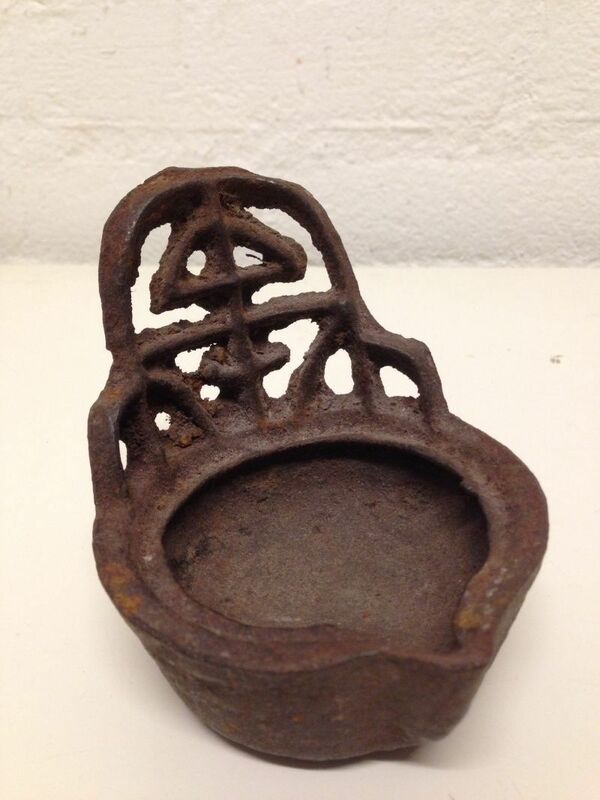 Small lighted coals are placed in the chamber of the censer to which incense is added. 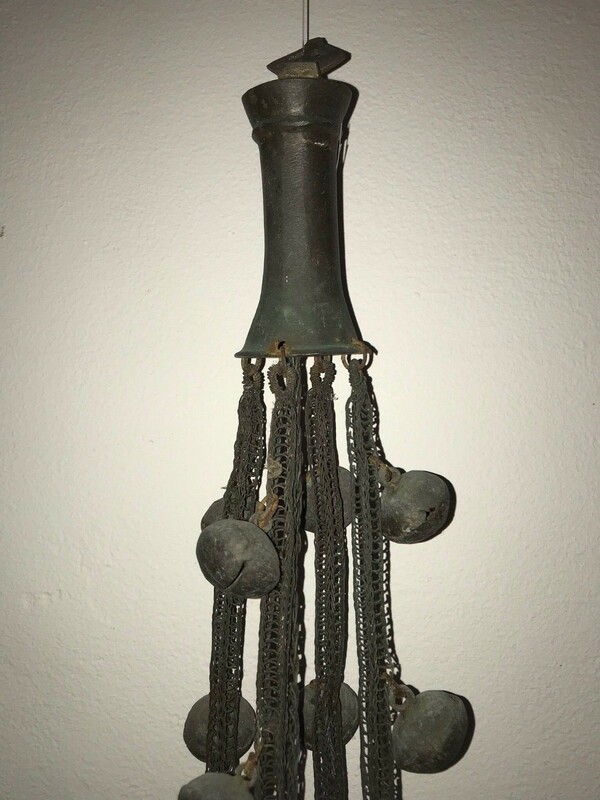 The censer is rhythmically swung from its long chains to waft the incense during religious services and processions. 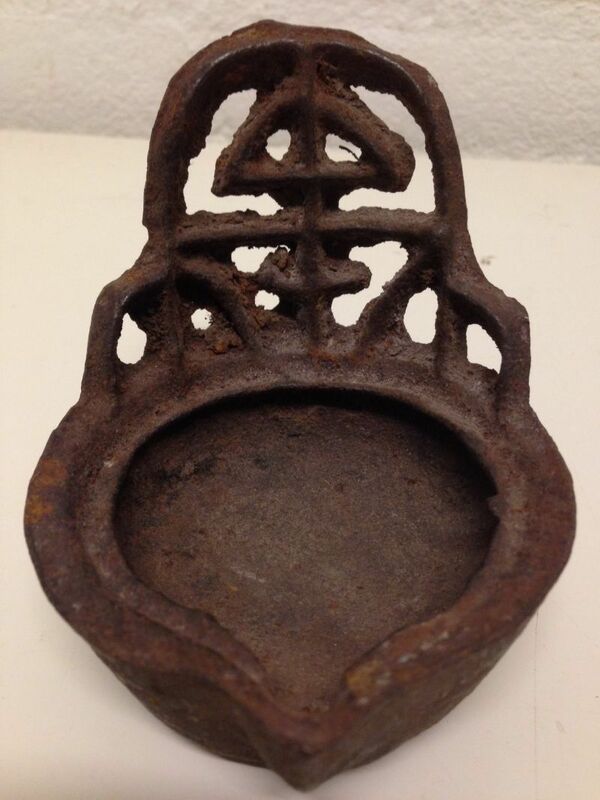 Ethiopia Very old Ethiopian incense burner “ SENA”. 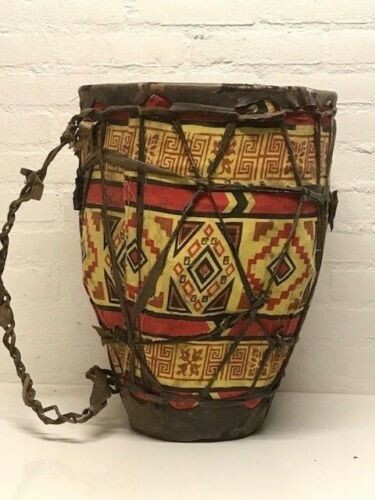 This Sena is made in the 19th century and comes from an Italien collector. 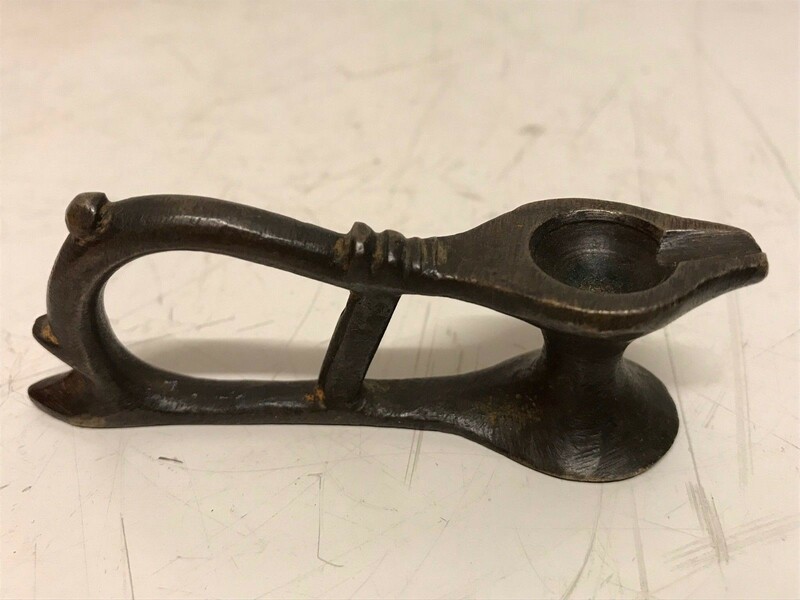 Ethiopia Very old finger oil lamp from Lalibela. 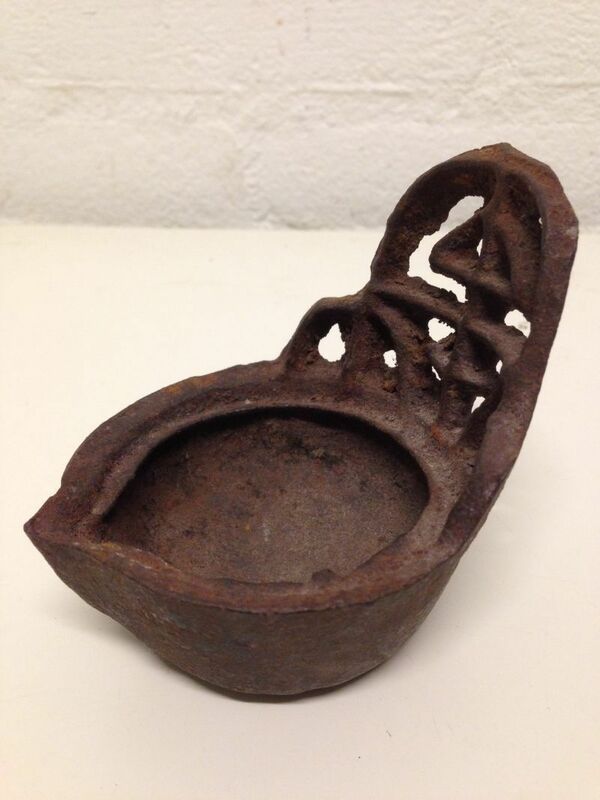 This Bronze fingel oil lamp is made in the 19th century and is about 200 years old, comes from an Italien collector. 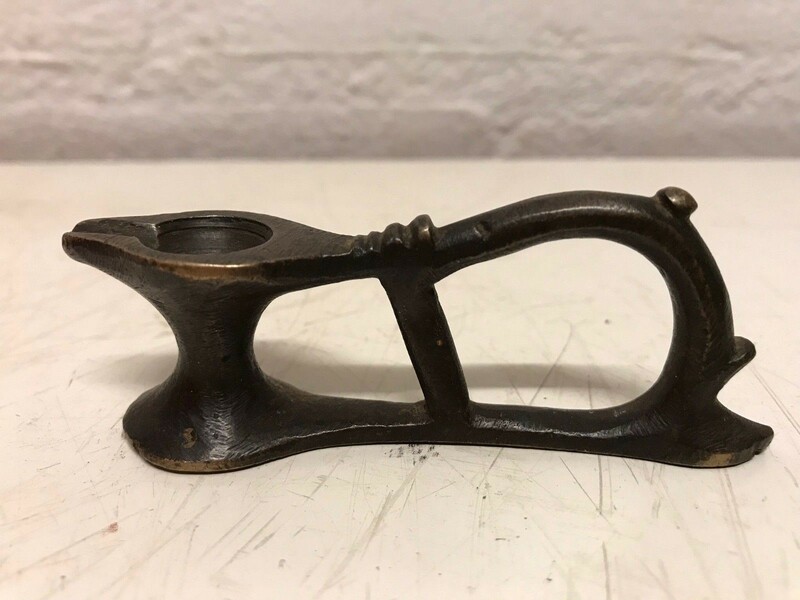 Long : 8 cm and 2.7 cm high. 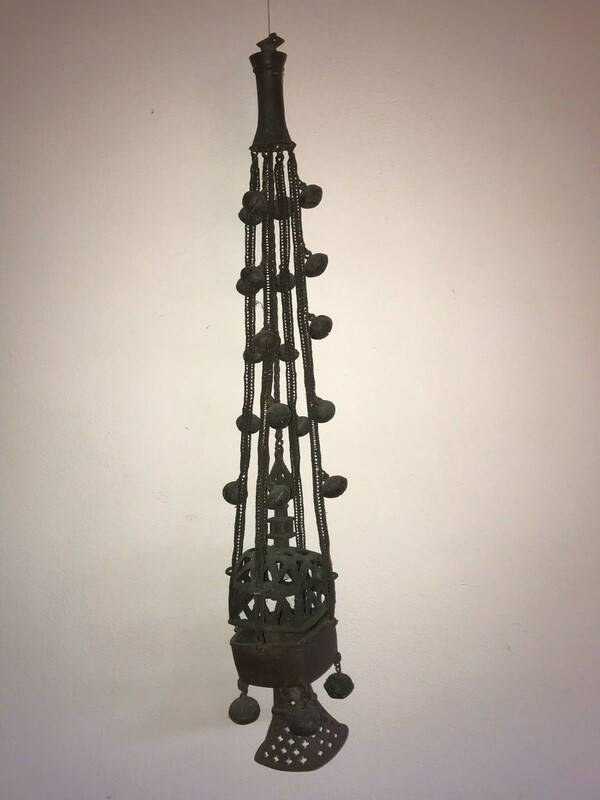 Tribal used Antique Ethiopian Iron Oillamp found in a church near Gondar. 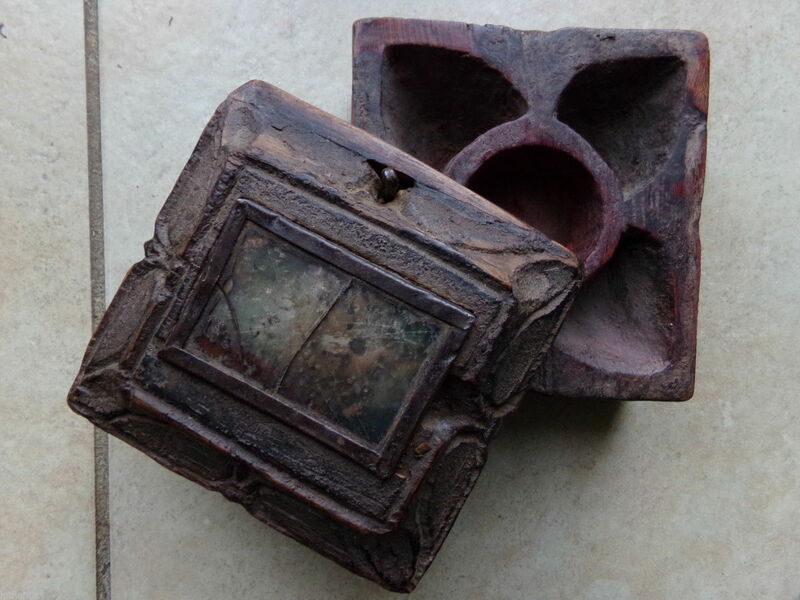 Size are 9 cm x 8.5 cm x 8 cm. 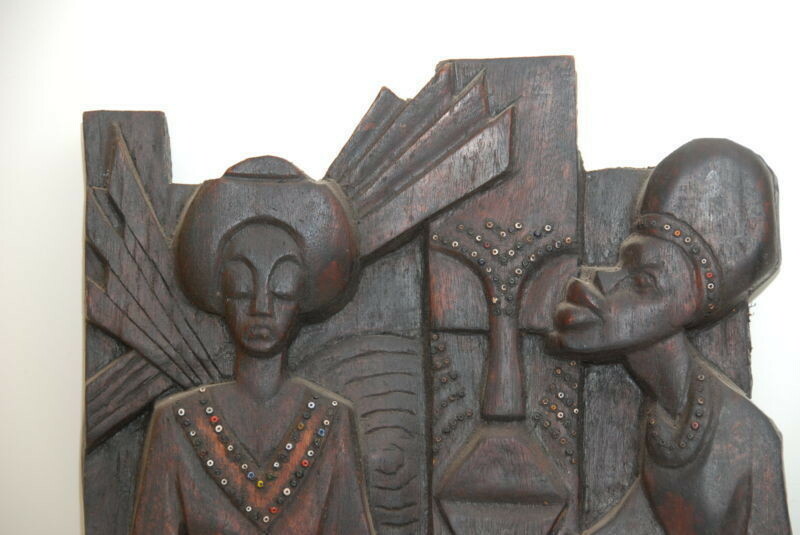 171201 - Rare African Ethiopian Art Sculpture from Addis Ababa - Ethiopia. 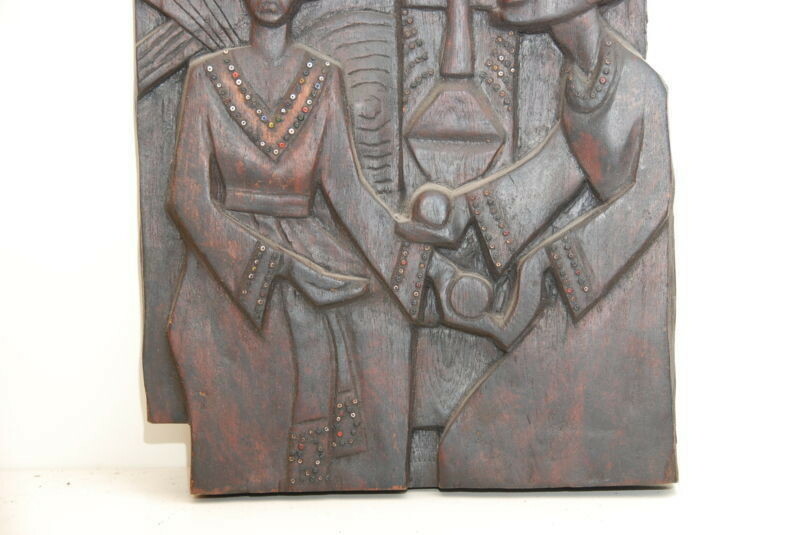 This is a authentic Extremly Rare African Ethiopian Art Sculpture from Addis Ababa. 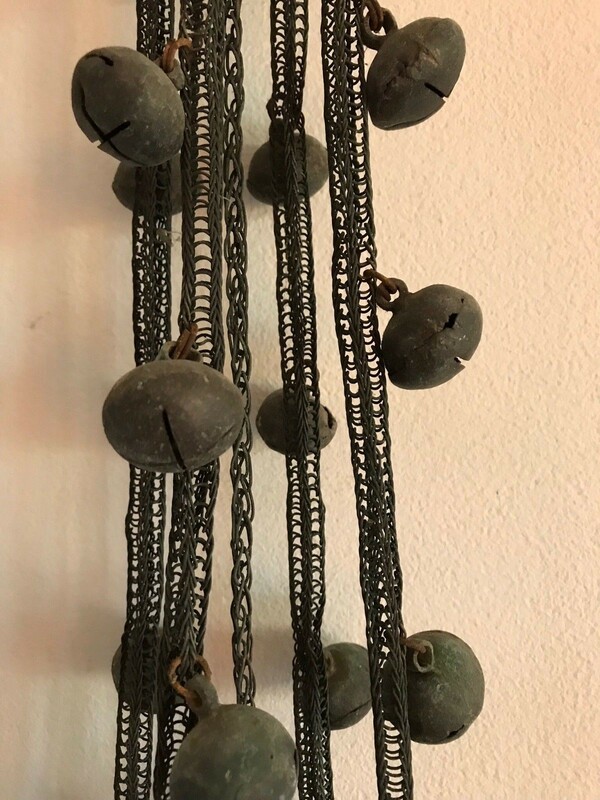 Handmade with old beads and made in 1952. 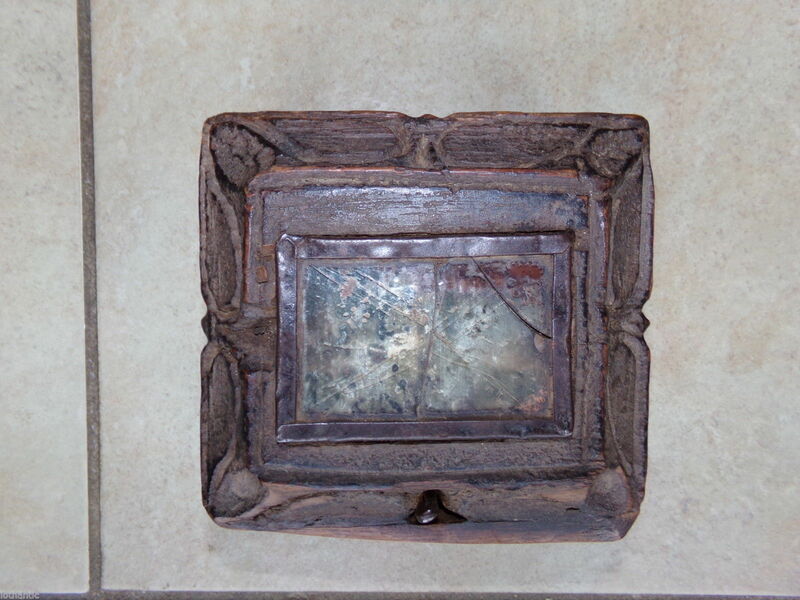 The size are 40 x 32 cm. 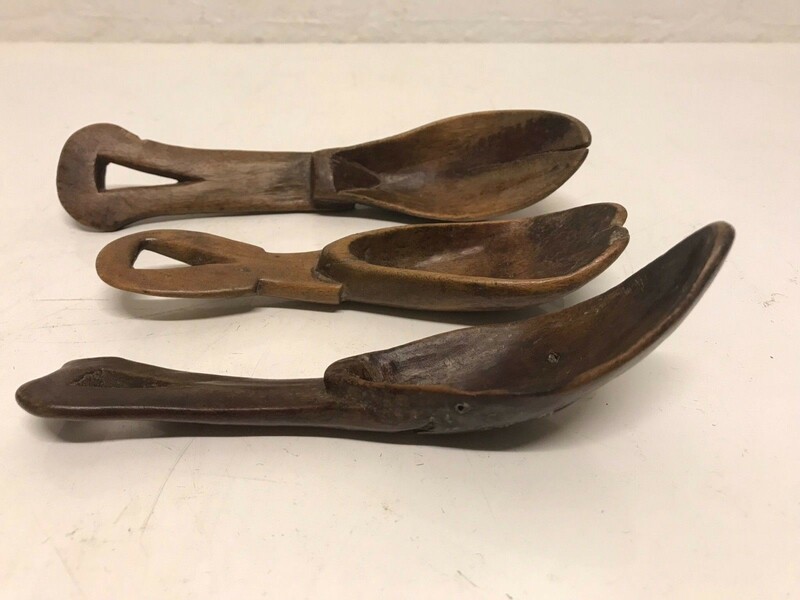 180453 - Tribal used rare Old African 3 Argoba spoons - Ethiopia. 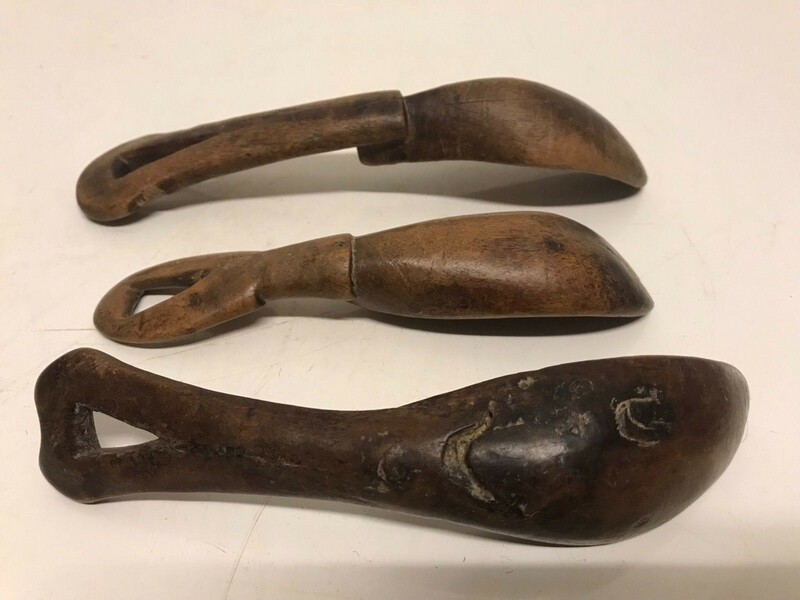 Ethiopia: Tribal used African 3 old Argoba spoons. 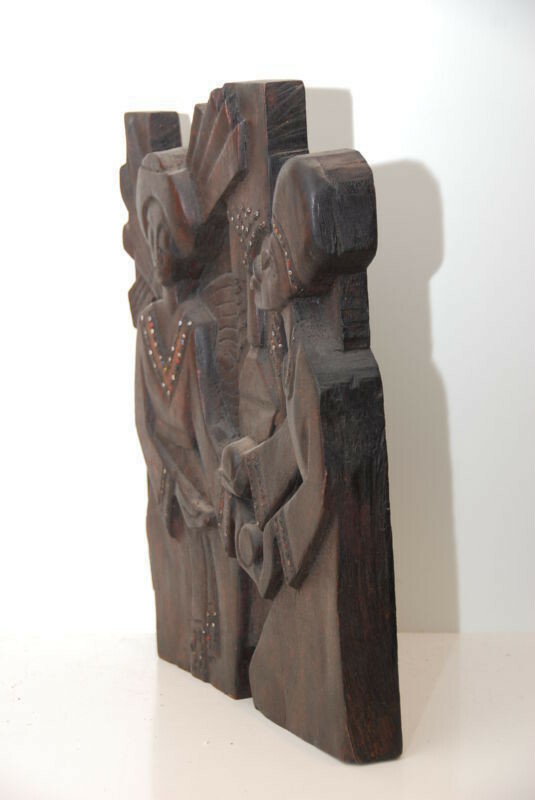 Hand carved from a single wood. 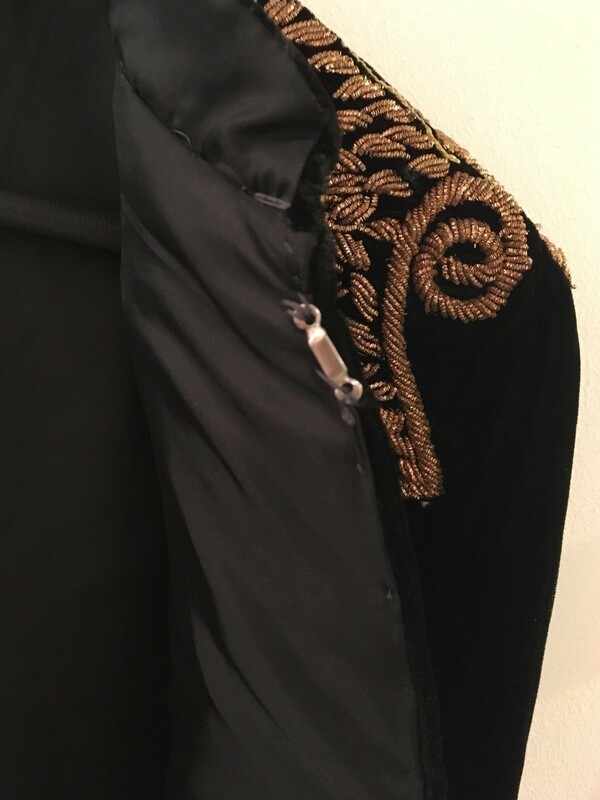 Size are resp. 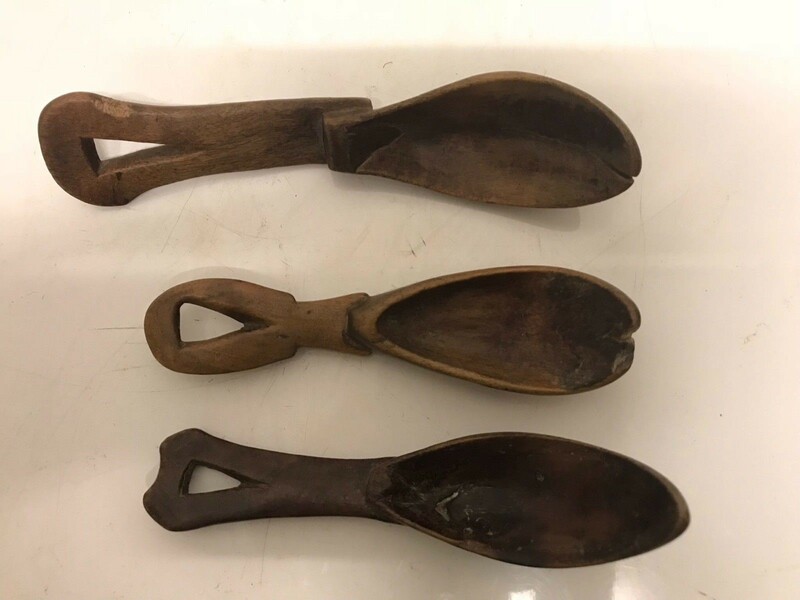 ; 19 cm, 16 cm and 15 cm. 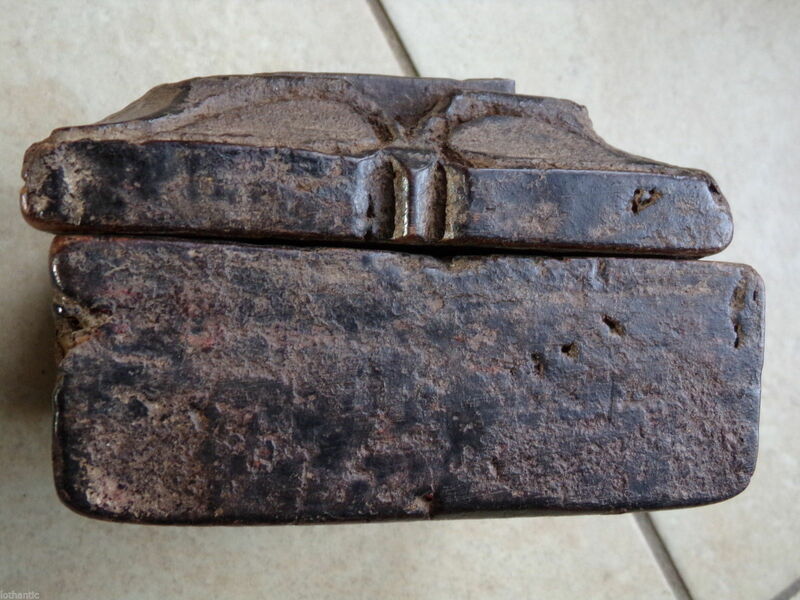 180942 - Tribal used 300 years Old African Authentic Coptic Priest Box. 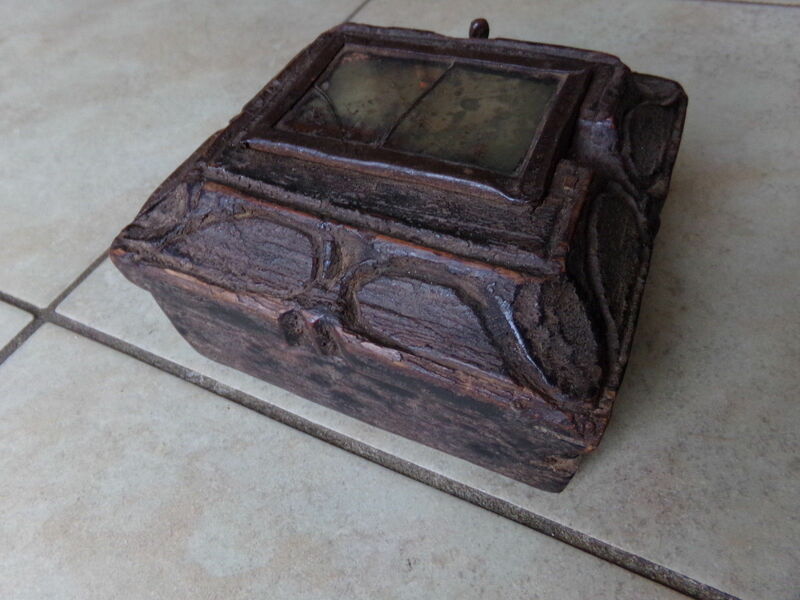 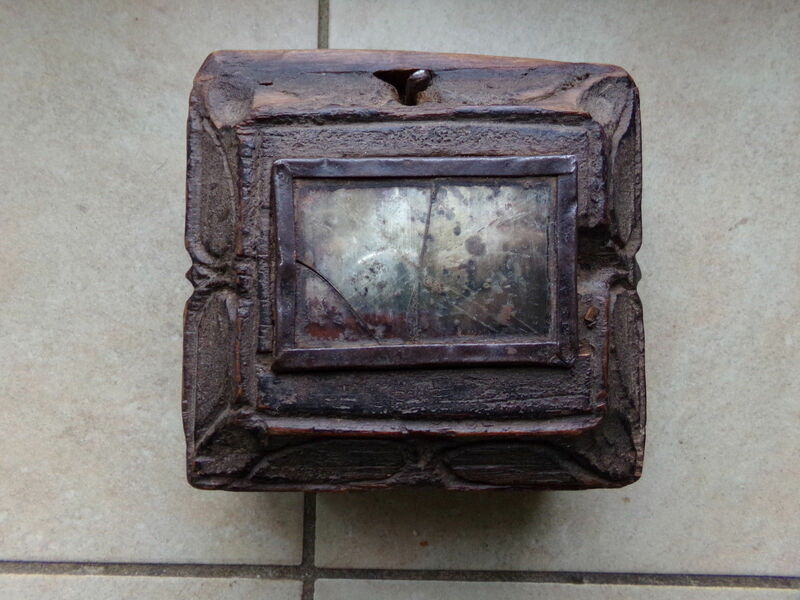 Old Tribal used African Authentic Coptic Priest Box. 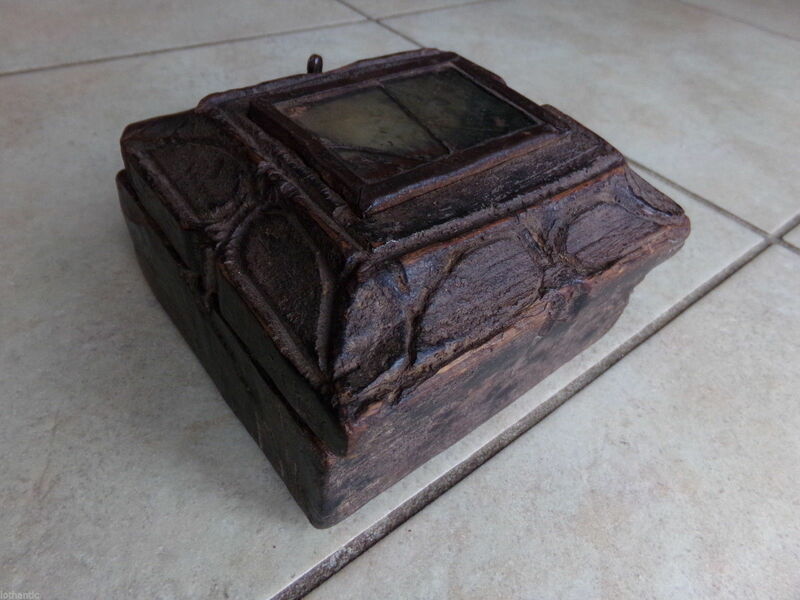 This box is made of wood carved in 2 parts, the cover is inserted or a mirror, all secured together by a metal rod for rotation cover. 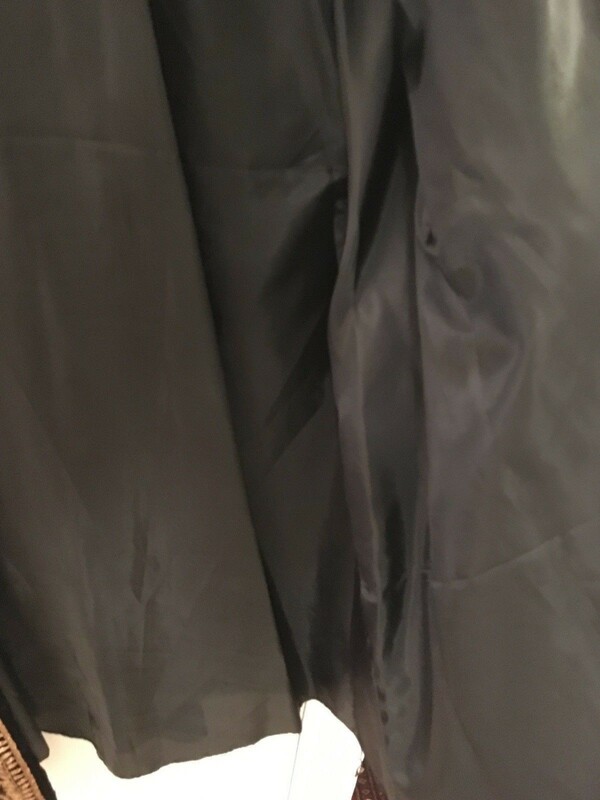 The mirror is in poor condition, the silvering is bad and the glass cracked but easily replaceable, you can remove the mirror from the slot. 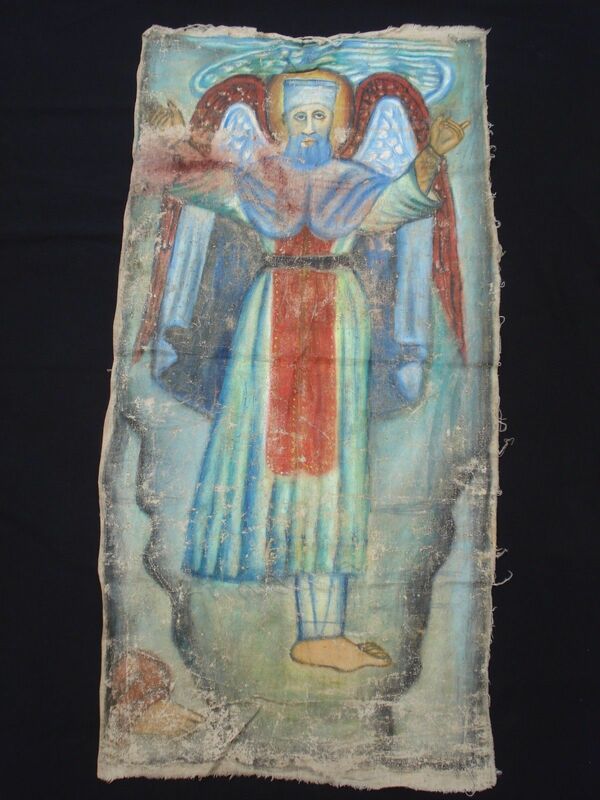 It comes from a coptic rock priest near Axum. 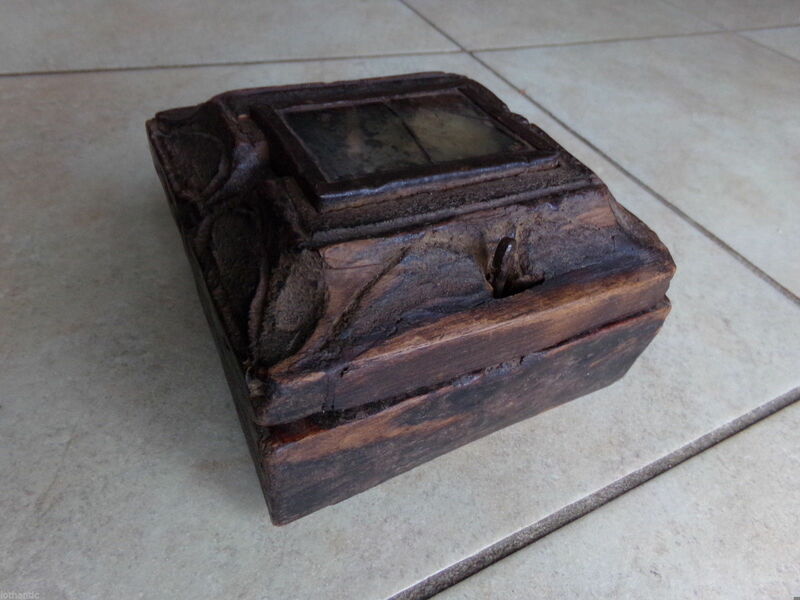 This Coptic Priest Box measures approximately 13 cm x 12 cm x 8 cm and ais more then 300 years old. 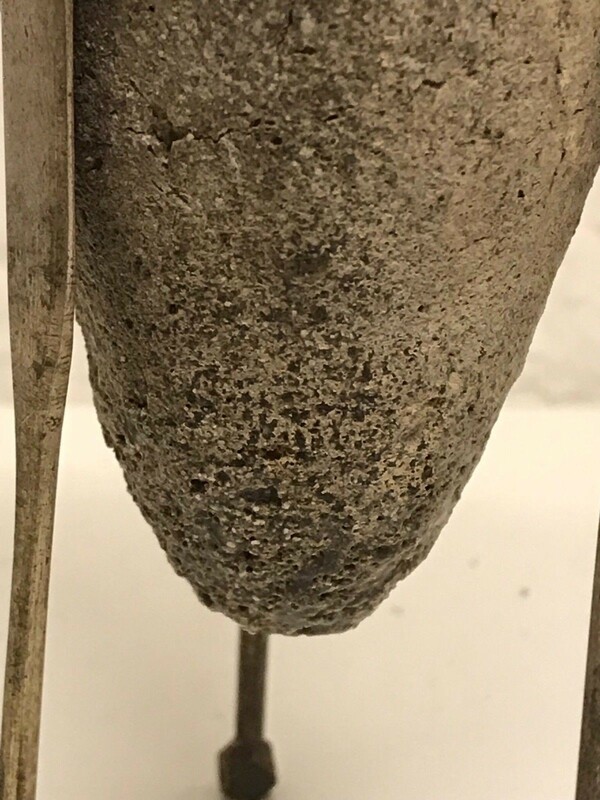 180422 - Extremly Rare and Old Gold smelt cup 6th-9th century - Ethiopia. 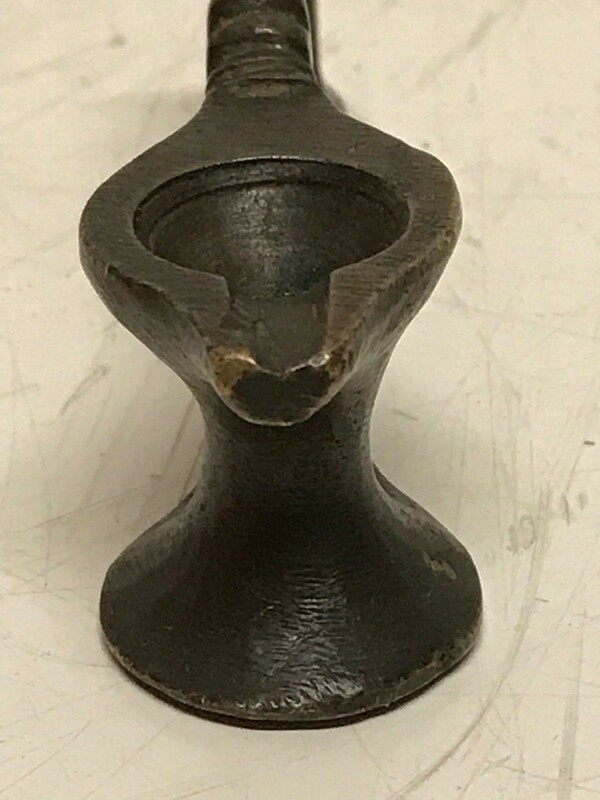 This is a very old and extremly rare terracotta gold smelt cup from about the 6th to 9th century AD. 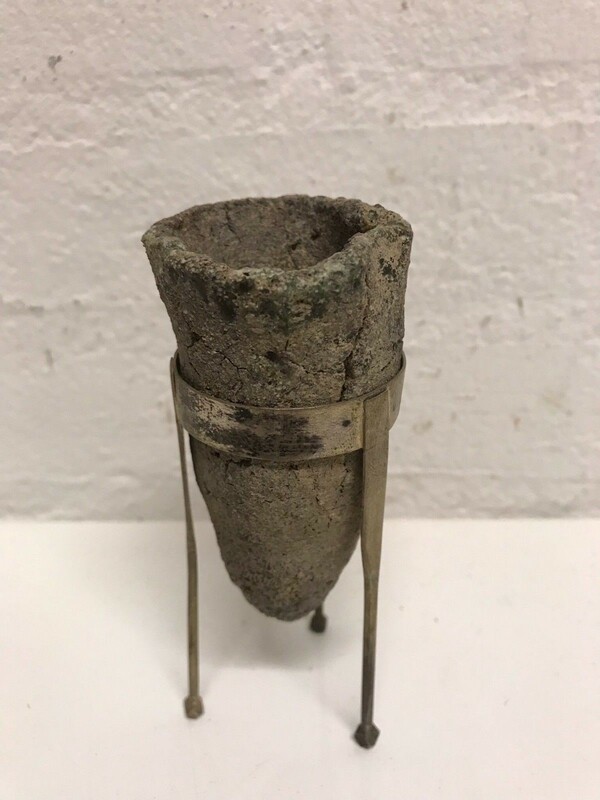 This gold smelt cup is found in a coptic church near Axum. 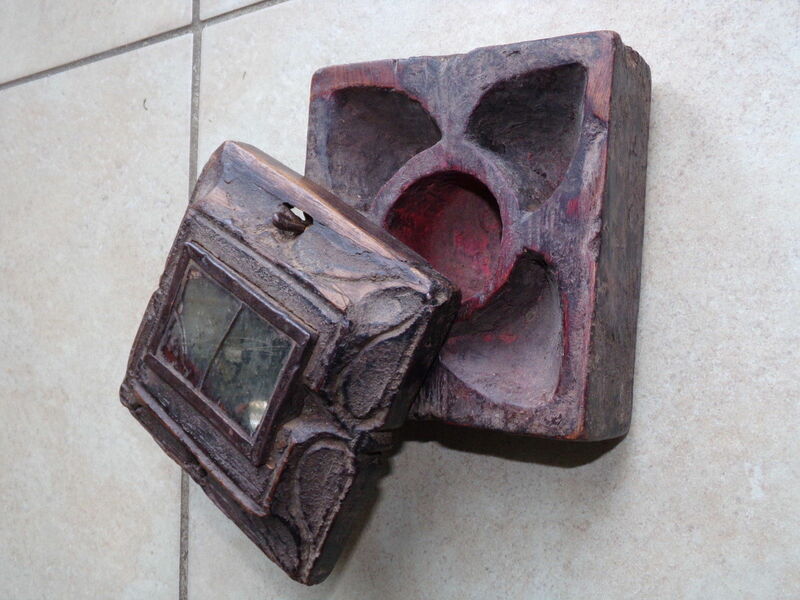 It is made from terracotta and the silver stand is made in about 1948. 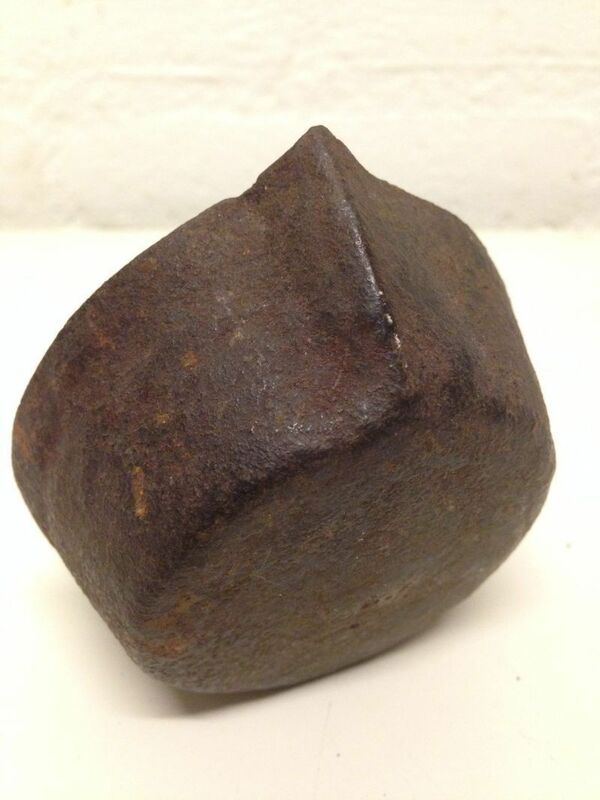 This is een extremly rare museum piece. 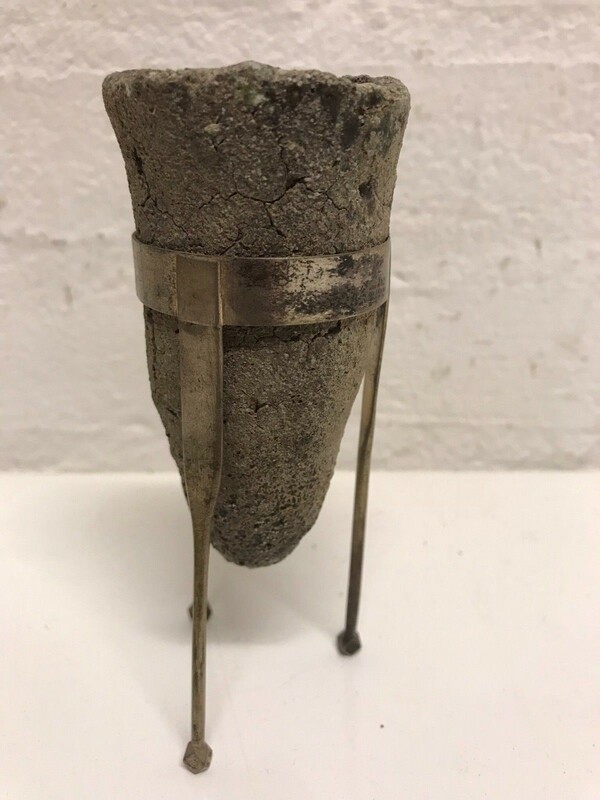 The cup is 9 cm high and including the silver stand is it total 12 cm high. 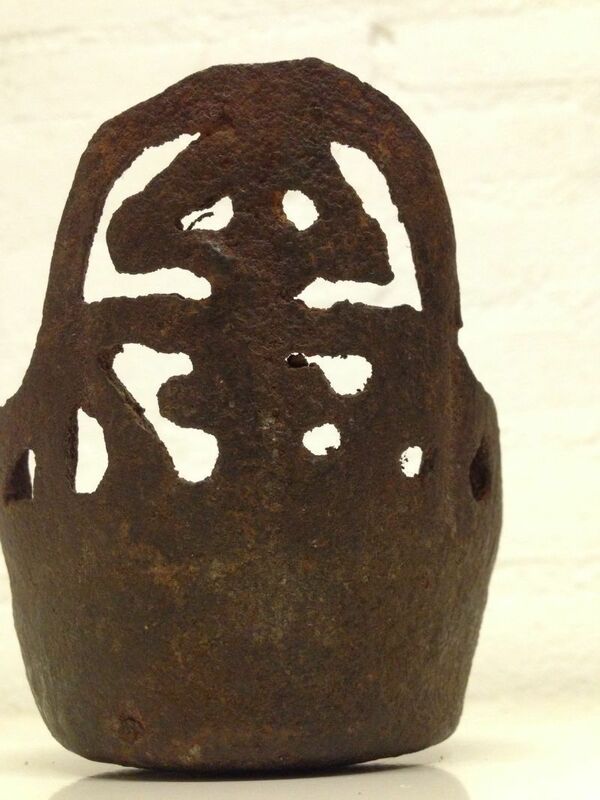 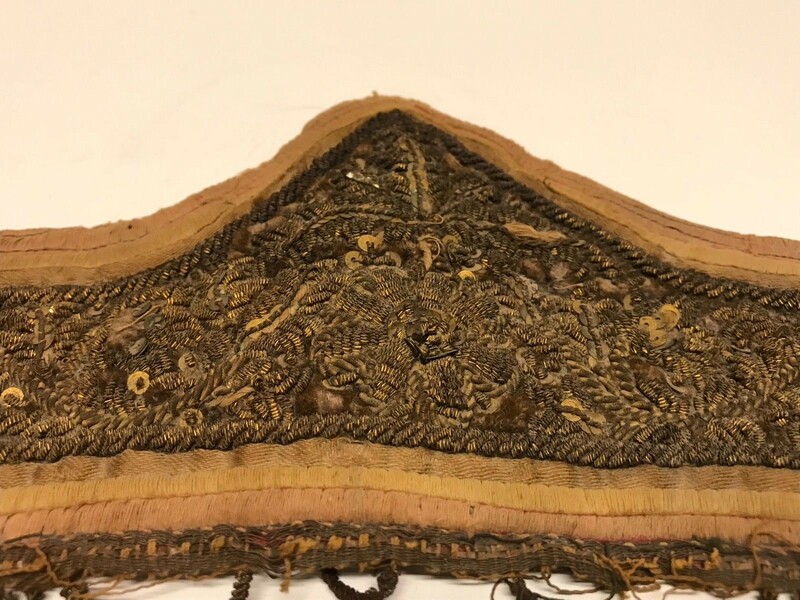 180146 - extremly rare part off an headdress - anfarro -17th century - Ethiopia. 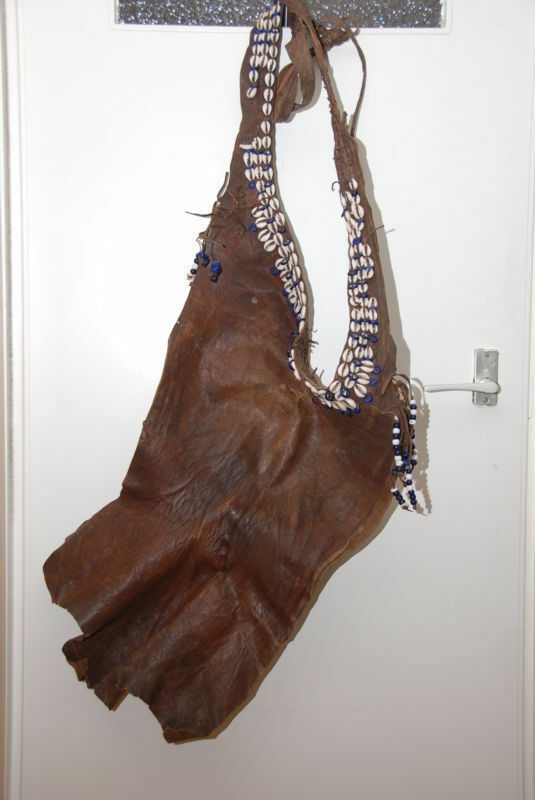 Extremly rare honour for succesful lion hunters and warriors that is worn with the Lamd. 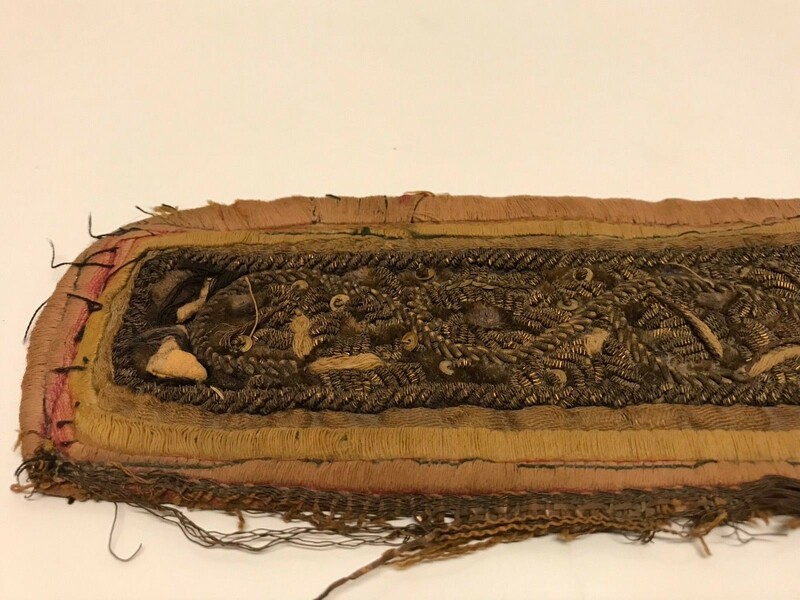 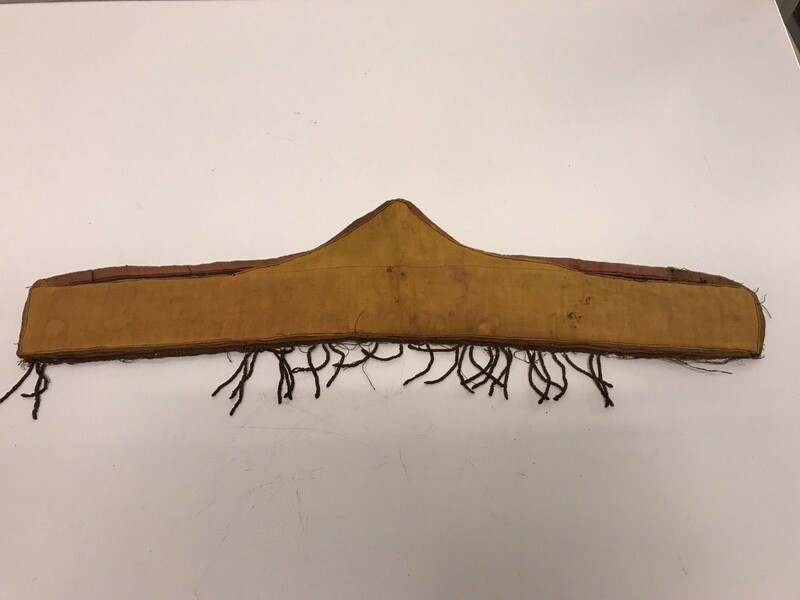 This headband is 54 cm long and 12 cm wide and is from the 17th century. 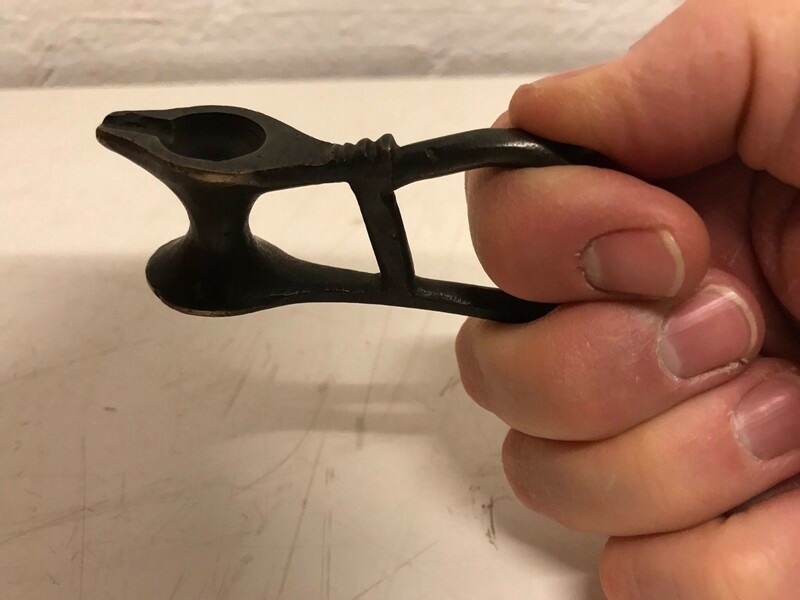 Extremly rare and an museum piece. 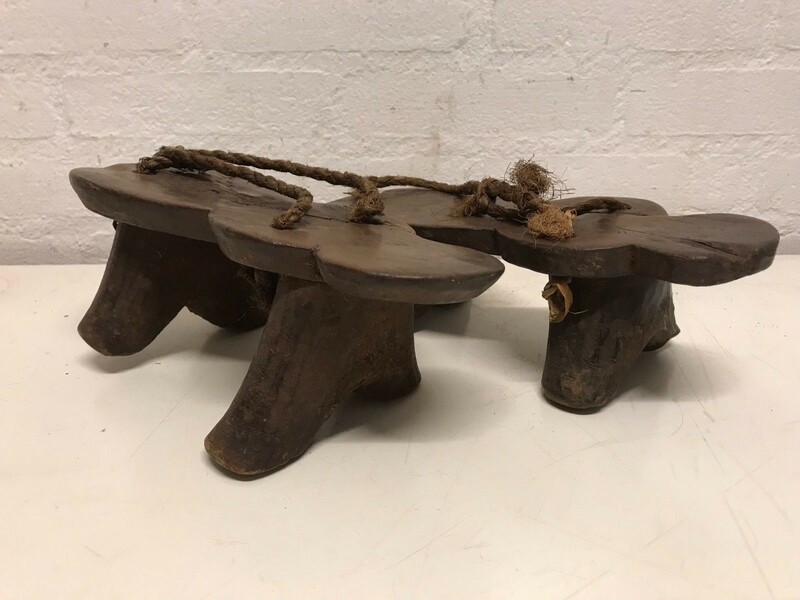 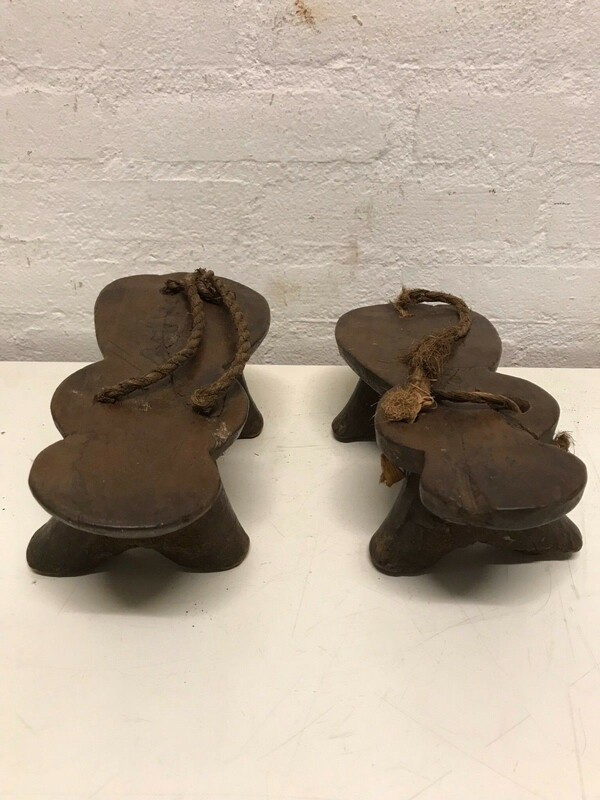 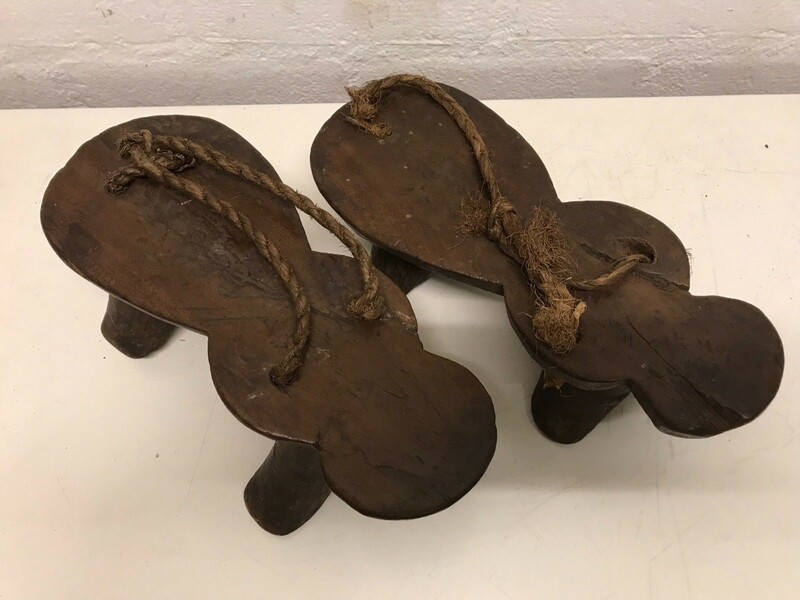 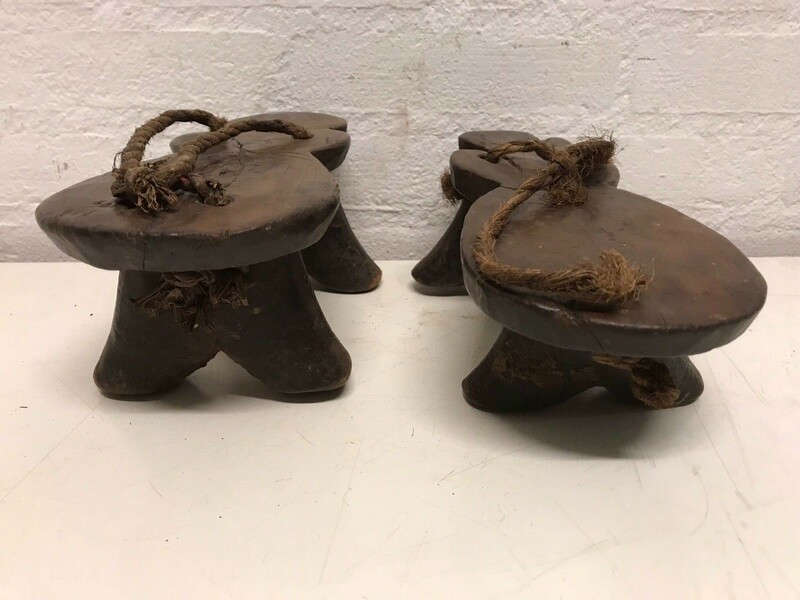 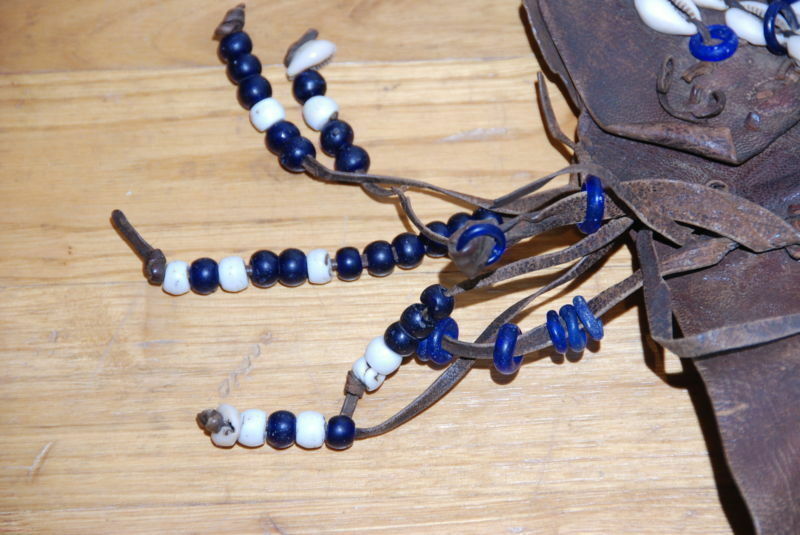 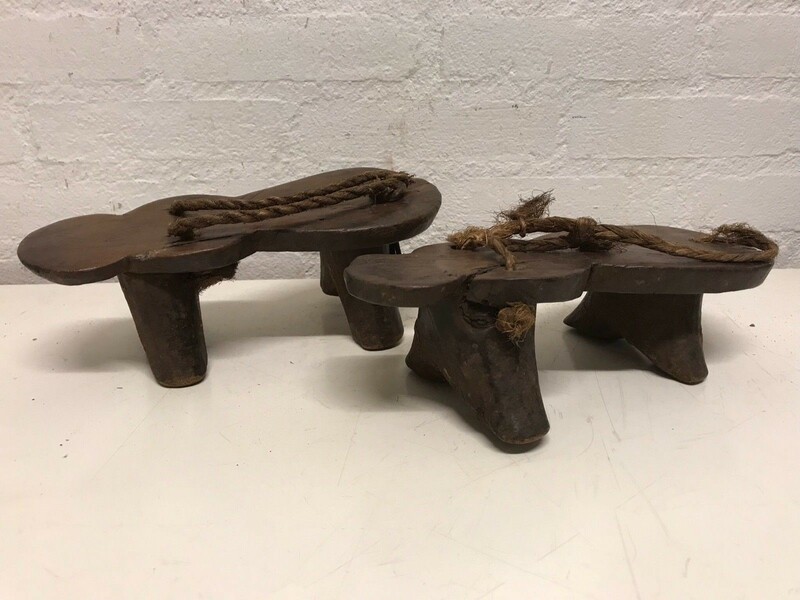 Extremly Rare Tribal used Old African Ethiopian shoes from a Coptic Priest. 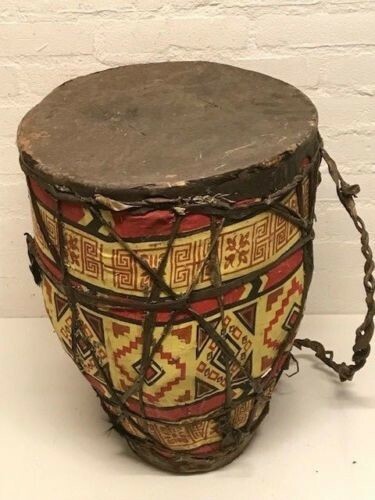 About 100 years old, begin 20th century but extremly rare. 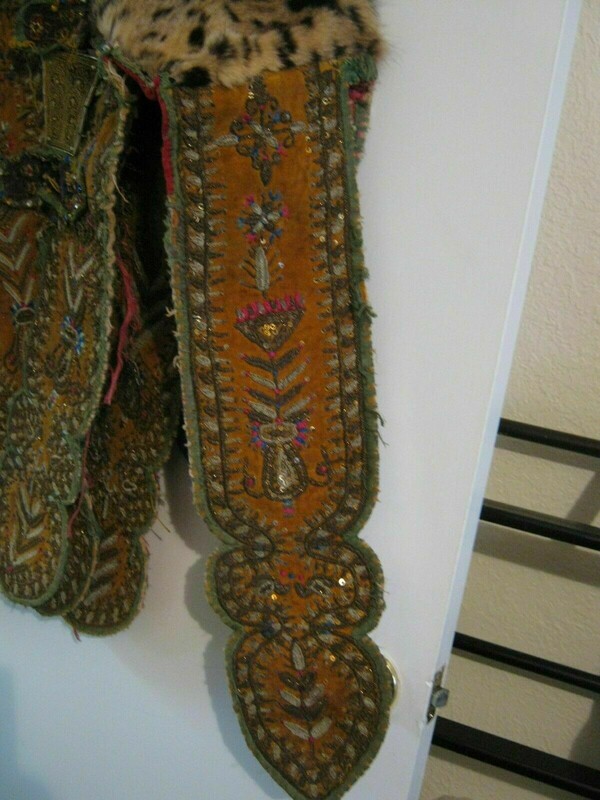 measures approximately 29 cm long. 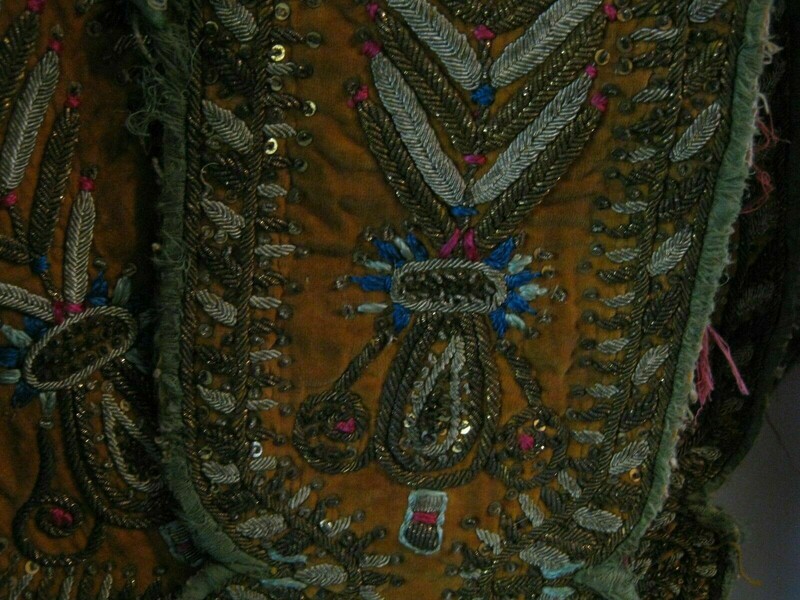 190207 - extremly Rare antique warrior dress by emperor Menelik - Ethiopia. 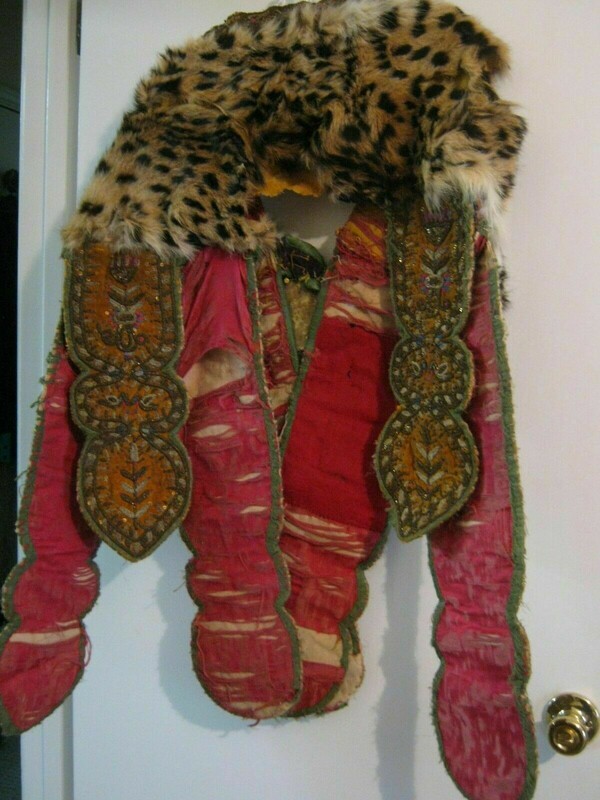 Antique Ethiopian Imperial Ceremonial Garb with Leopard skin from the Battle of Adwa, made before 1898. 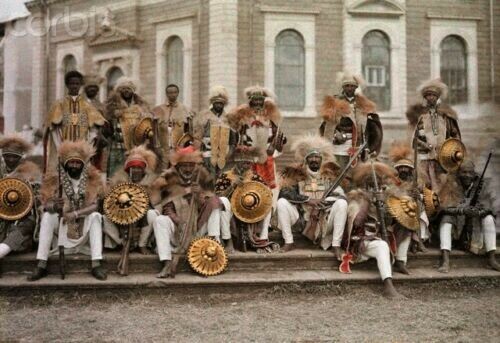 Presented by the Emperor Menelik to Honor a Government Leader in War. 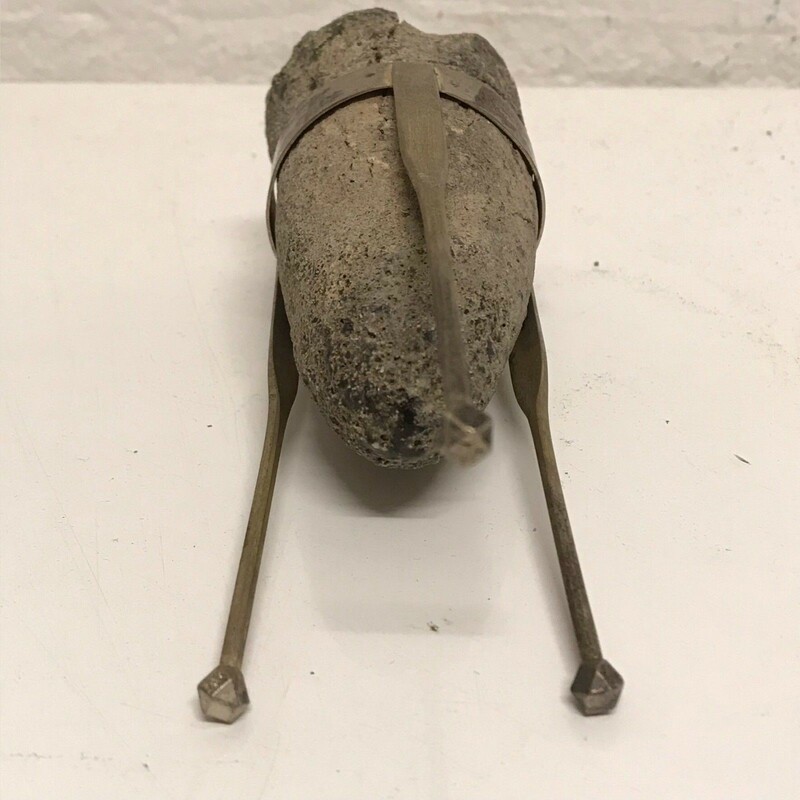 Mostly for War Battlefield Heroes. 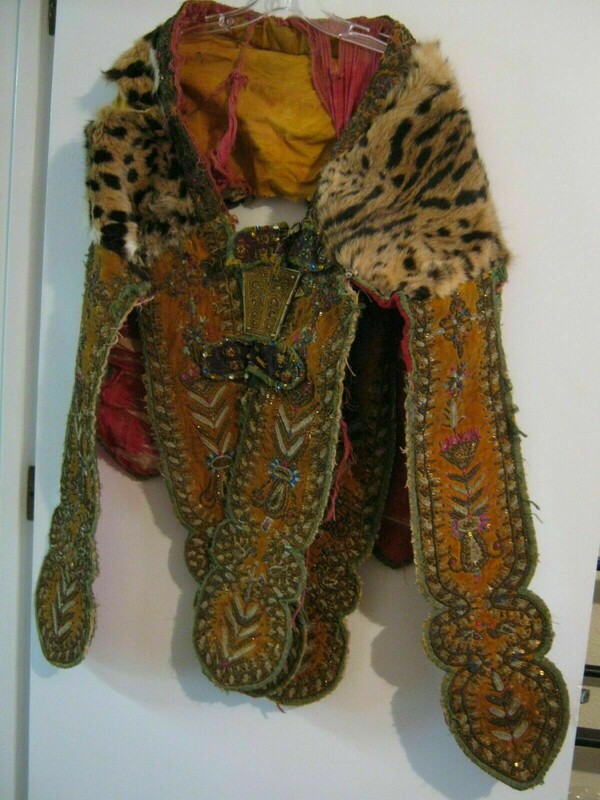 This heavy imperial garb weighs five pounds. 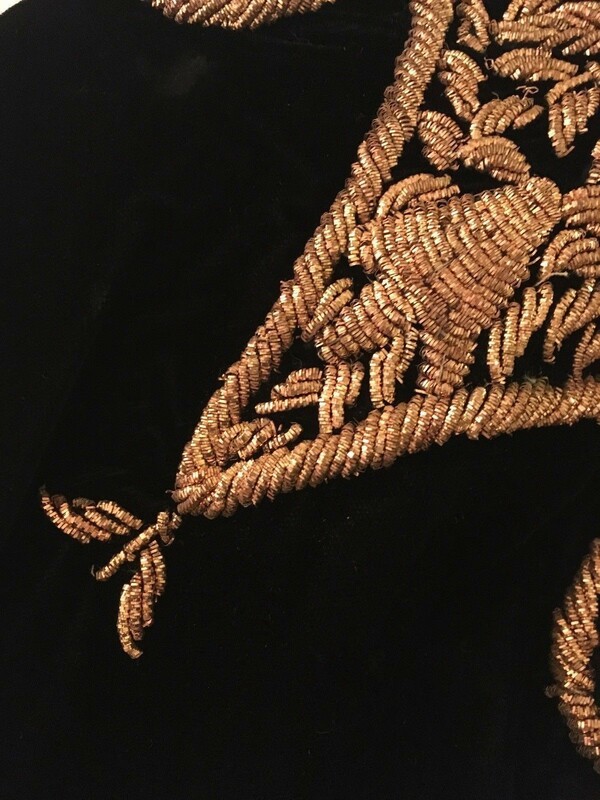 It is made of heavy canvas with gold color velvet on the front side. 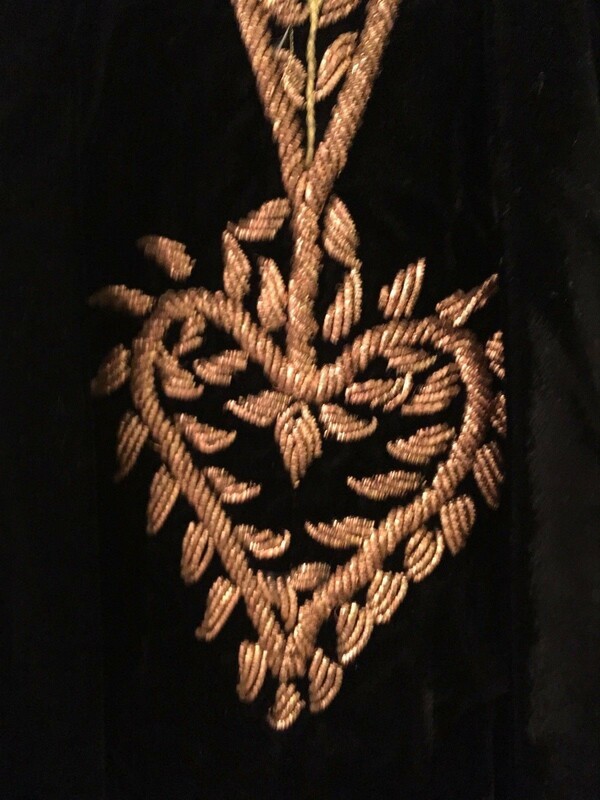 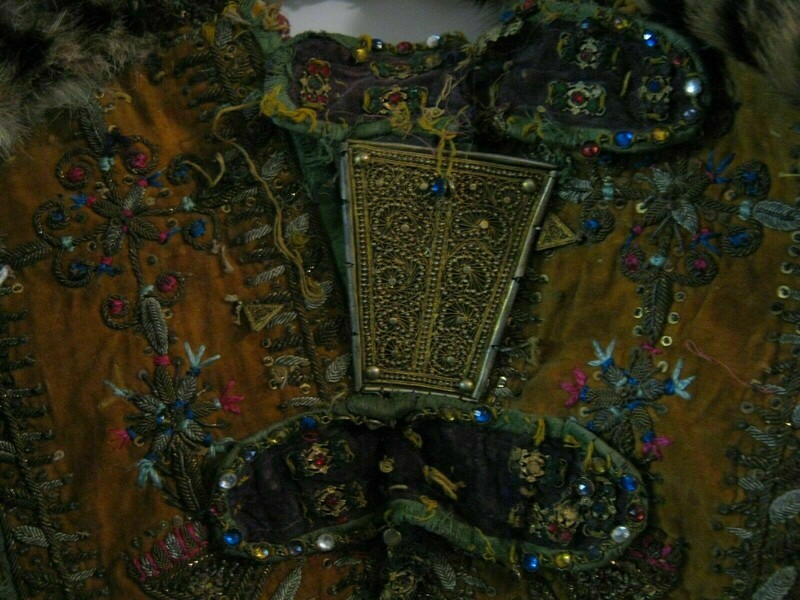 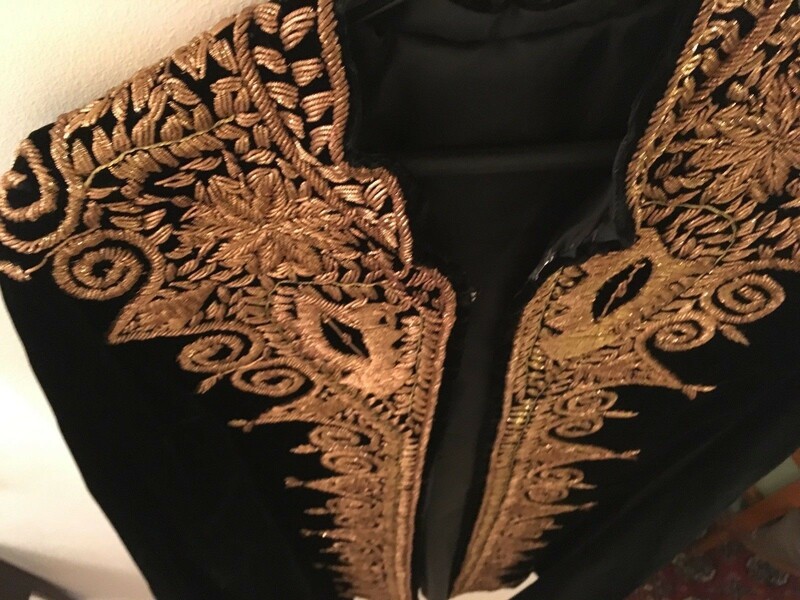 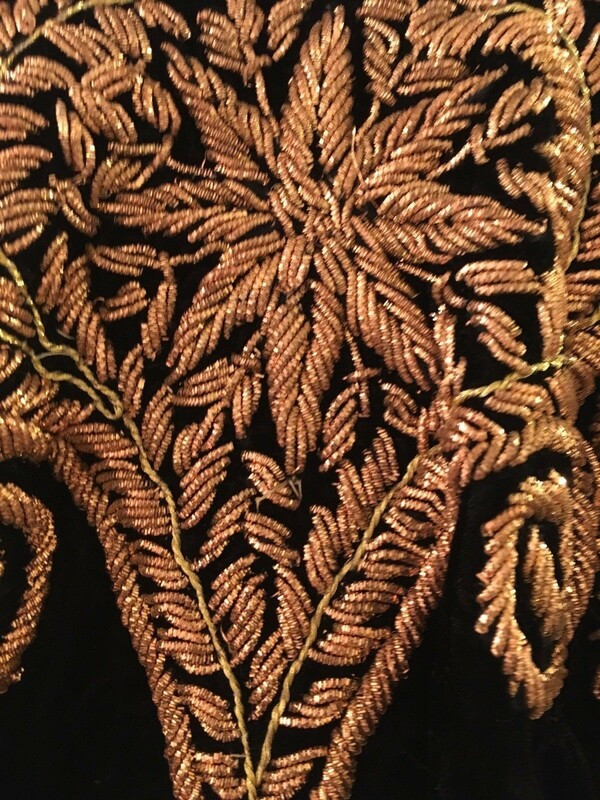 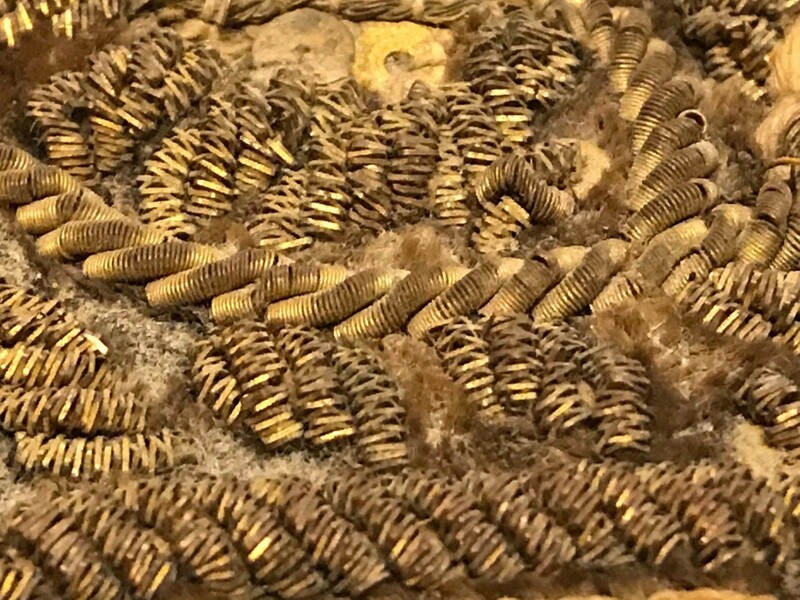 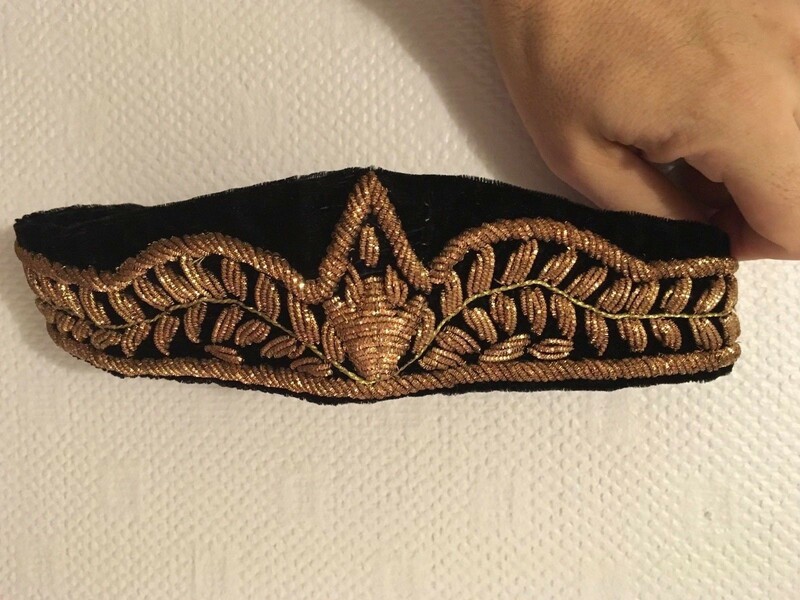 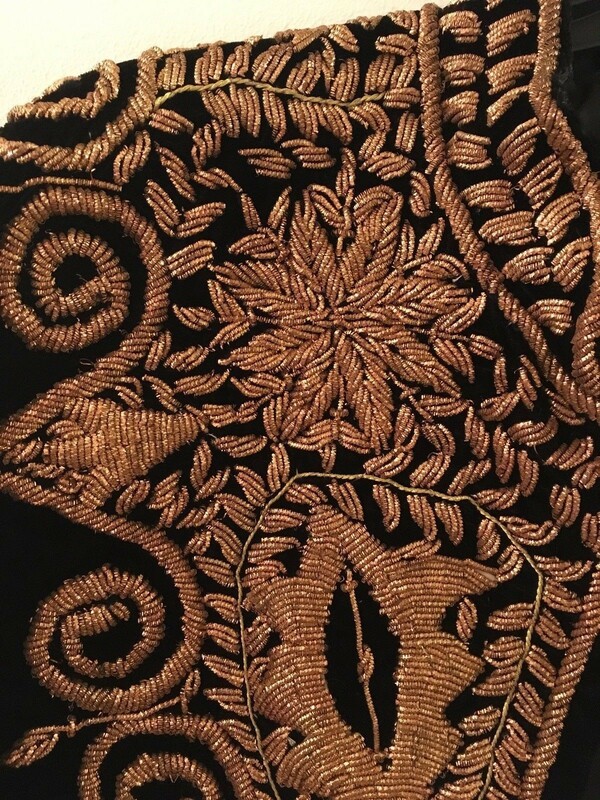 It is embroidered with various metallic wire strands, colored threads, gold sequins, and some small metal embellishments. 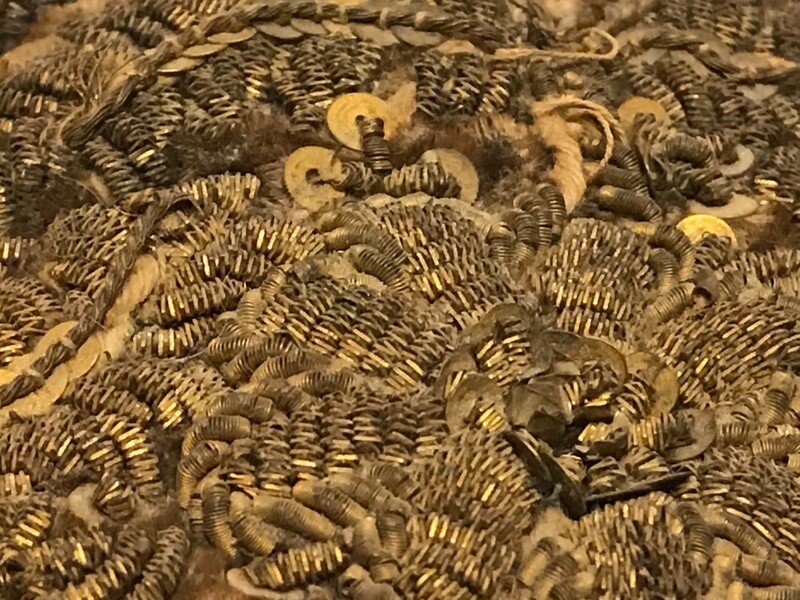 The metal sequins and the gold filagree breastplate are most likely actual gold as gold was formerly very inexpensive in Ethiopia. 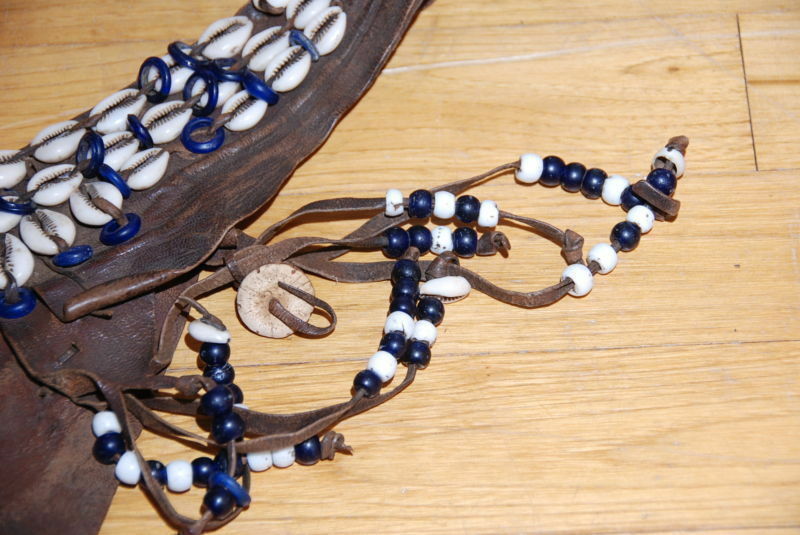 They have not tarnished. 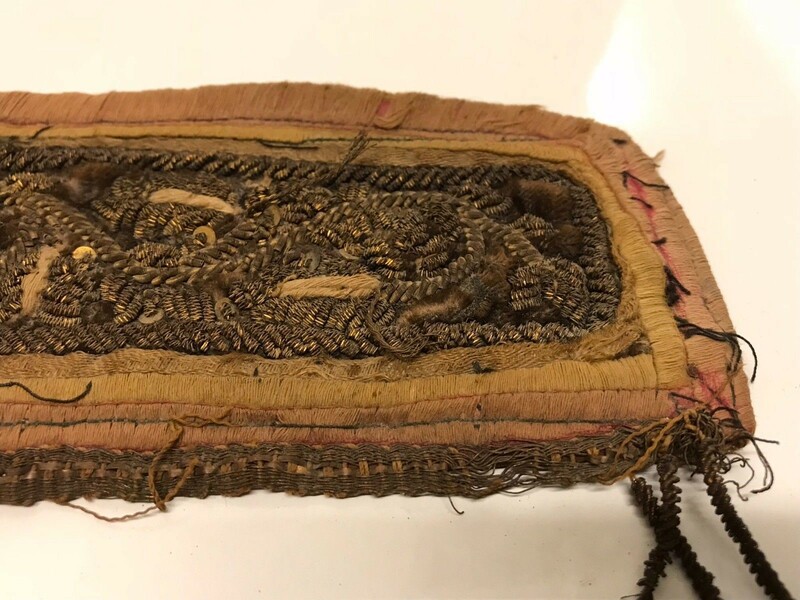 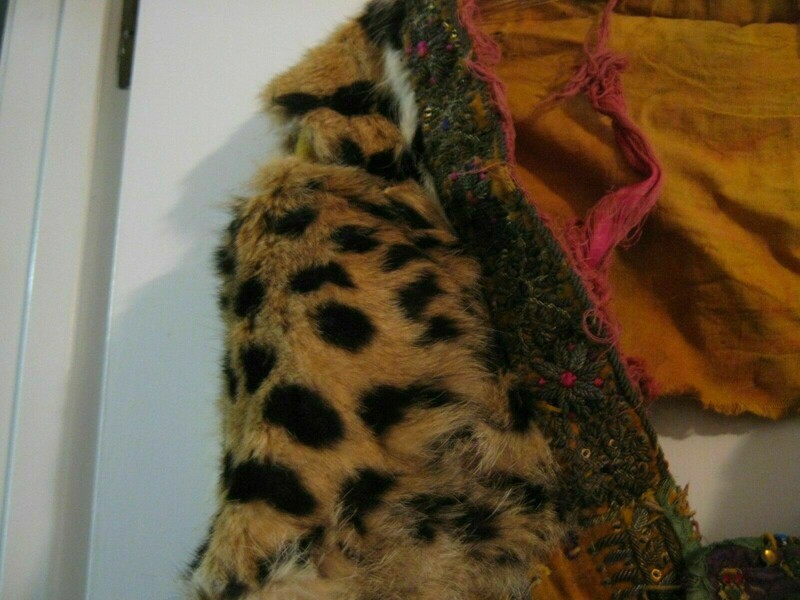 The red cotton lining is very fragile and has almost deteriorated and the leopard skin has separated from the cloth at one shoulder. 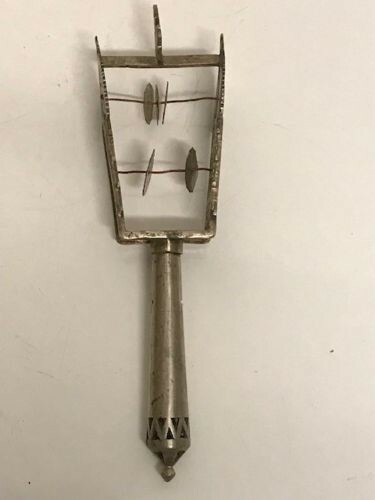 It is 91 cm long in front and 66 cm long in back. 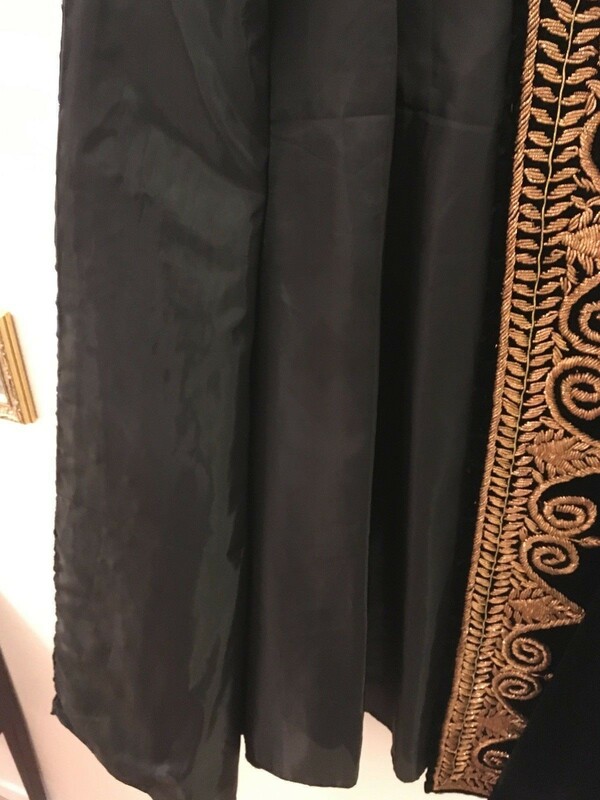 No two panels are exactly alike. 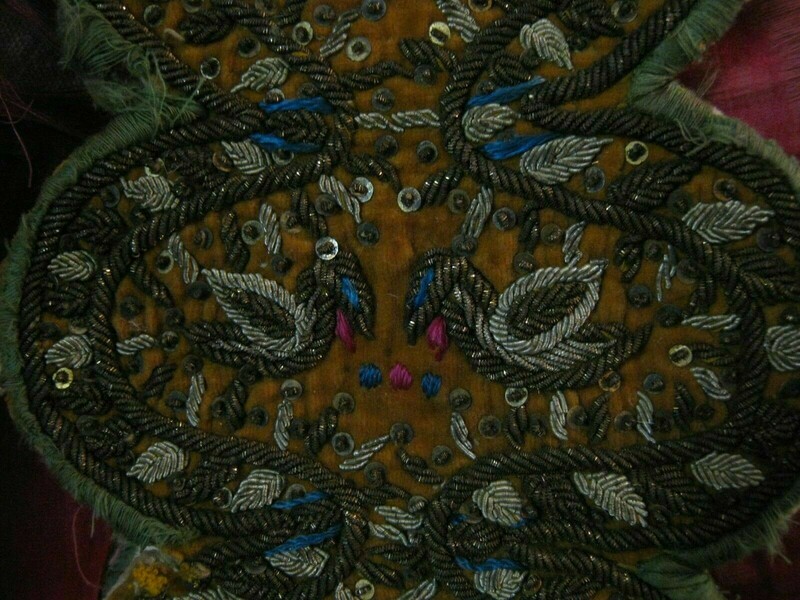 The embroidered birds are upside down on one panel. 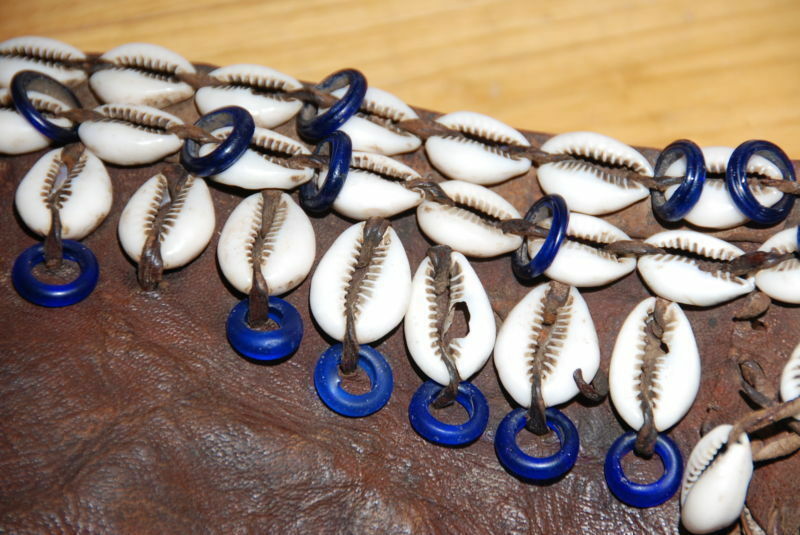 It is a treasured antique of inestimable value from the time of Ethiopia's emperor Menelik. 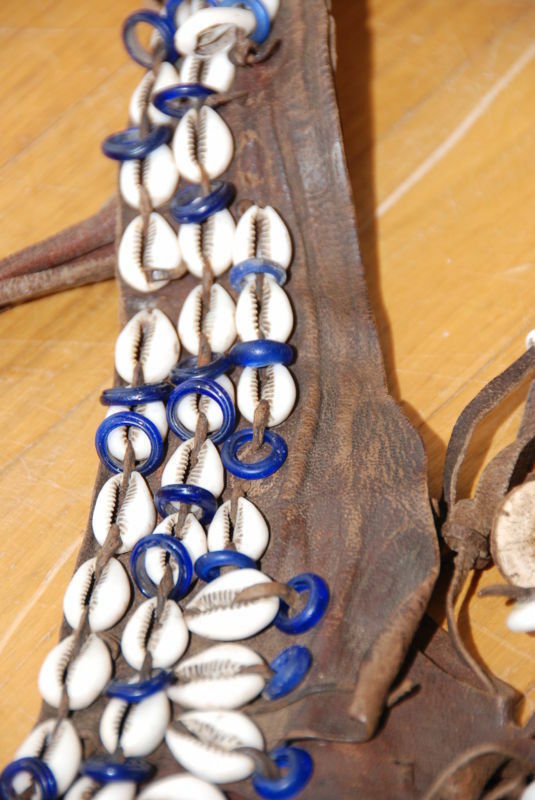 Ethiopia used to abound in leopards and other wildlife of the high savannah. 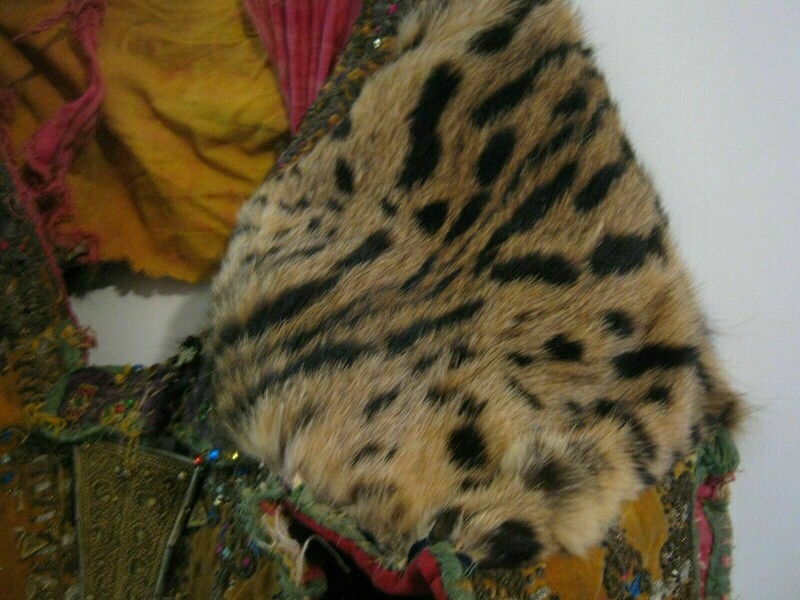 The fur was often used in decorative garb. 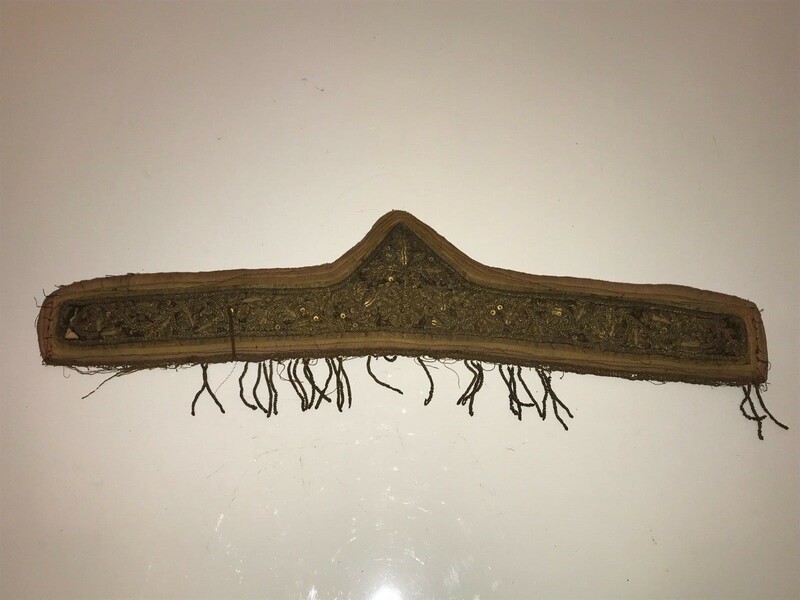 This is an extremely rare and antique piece that belongs in a museum. 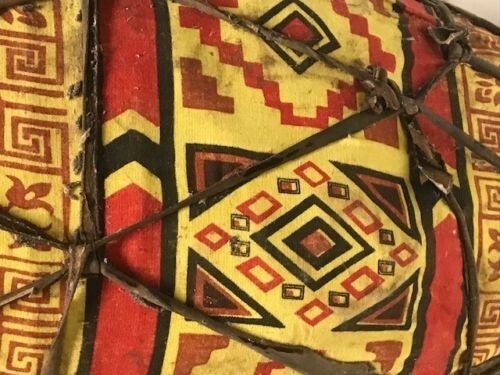 Large Rare Ethiopian Mursi Tribal used African cloth. 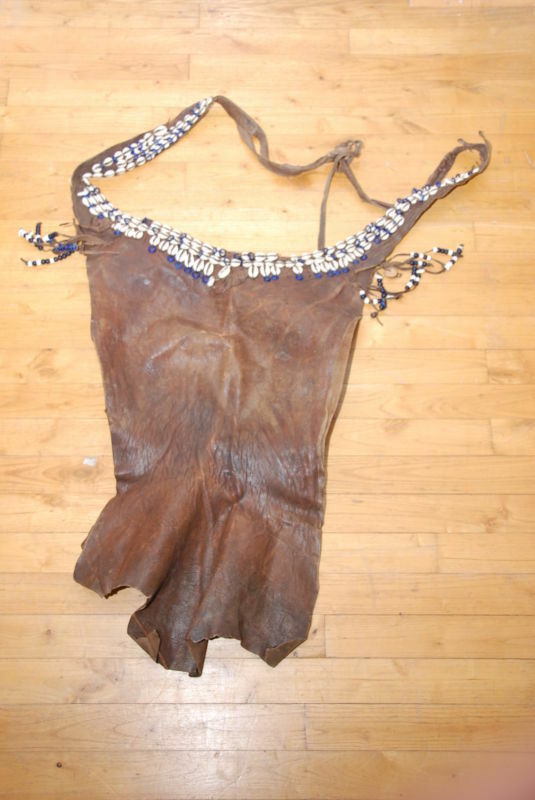 Large Rare African Ethiopian Tribal used Mursi dress. 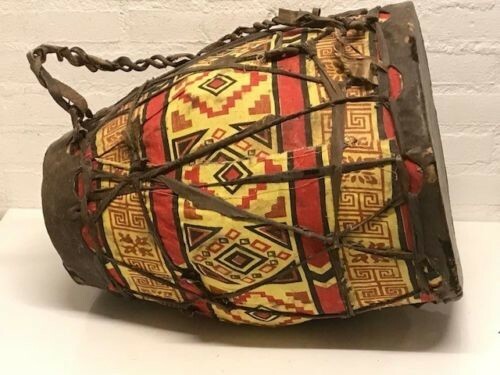 180805 - Tribal used Traditional Kebero Drum - Ethiopia. 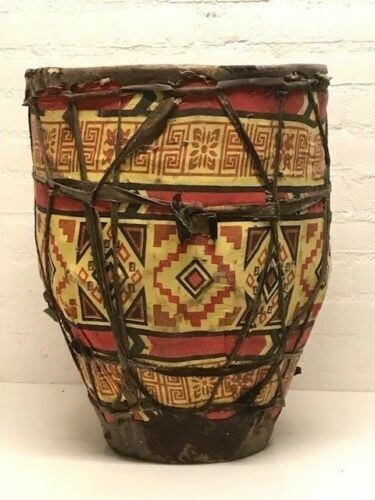 Original and authentic piece - Dimension 50 cm high and the diameter are 39 cm. 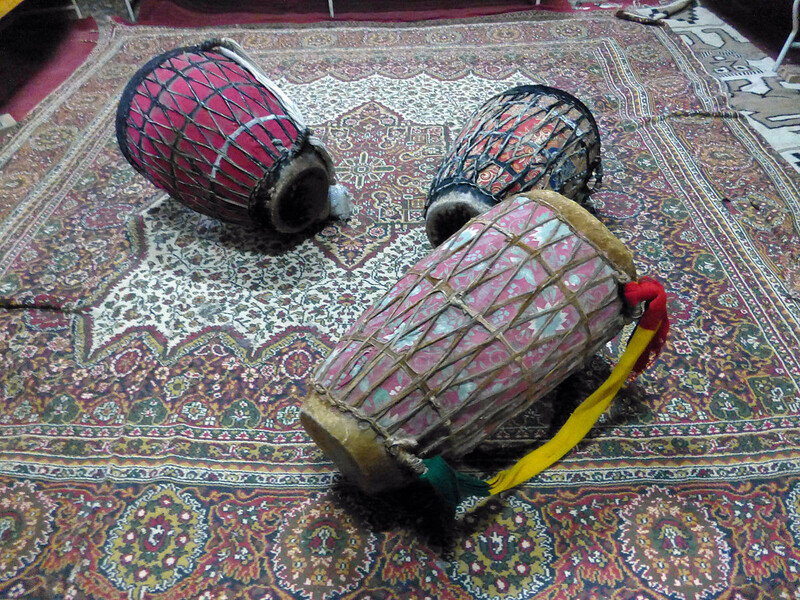 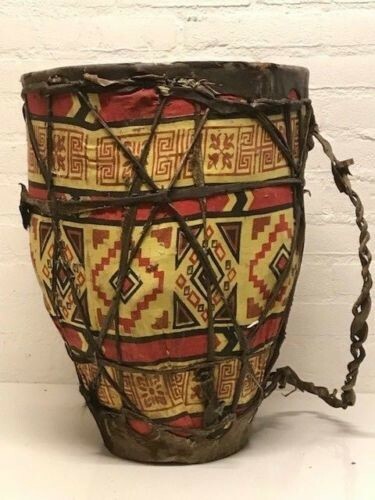 Kebero is a special Ethiopian drum used in Churches for religious ceremonies and at war times. 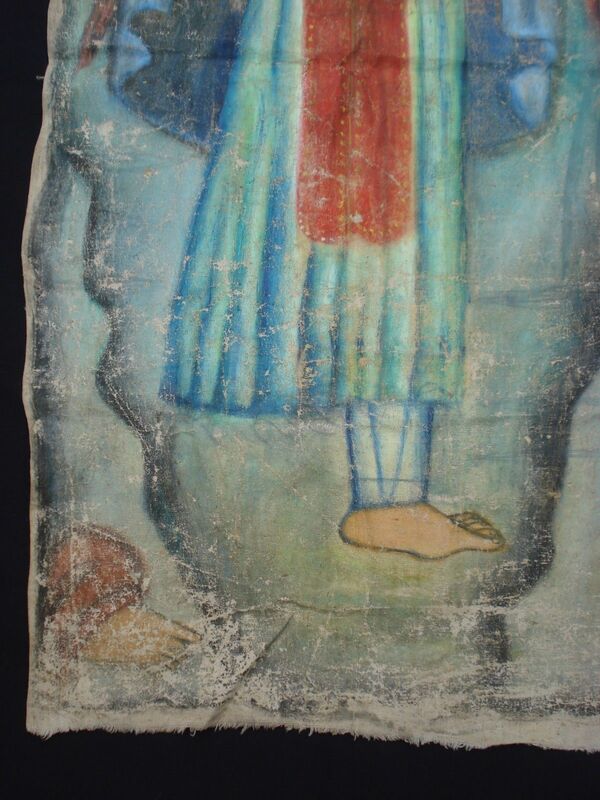 Very old Extremly Rare painting of Saint Takle Himanot. 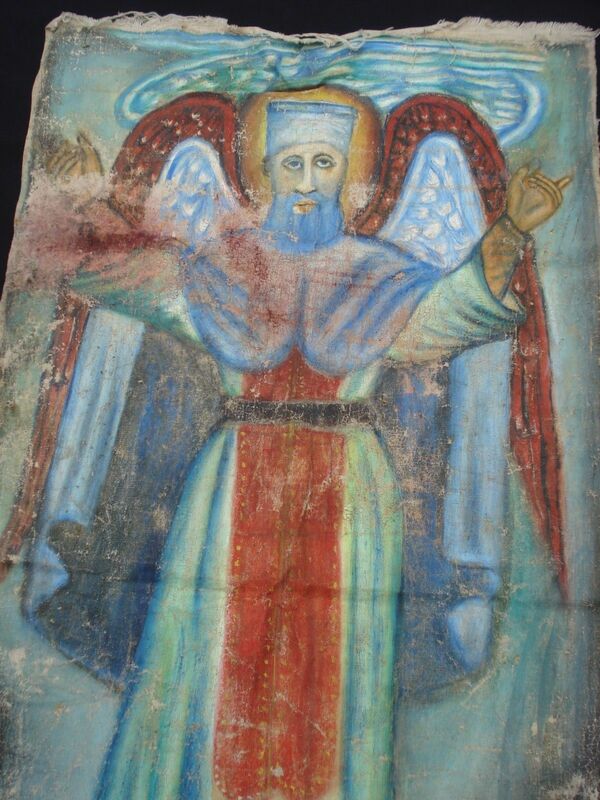 This is an Very old Extremly Rare painting of Saint Takle Himanot. 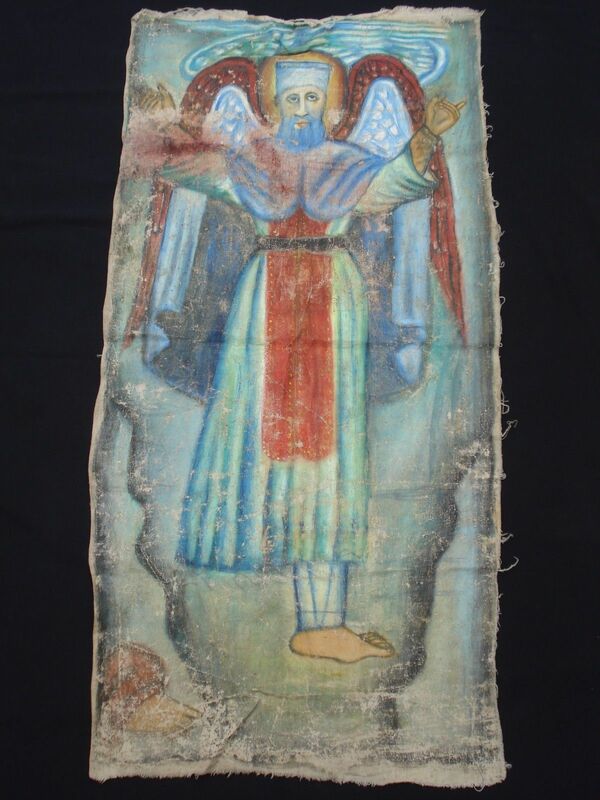 He is an Ethiopian monk known for continues praying and fasting and kneeling before god. 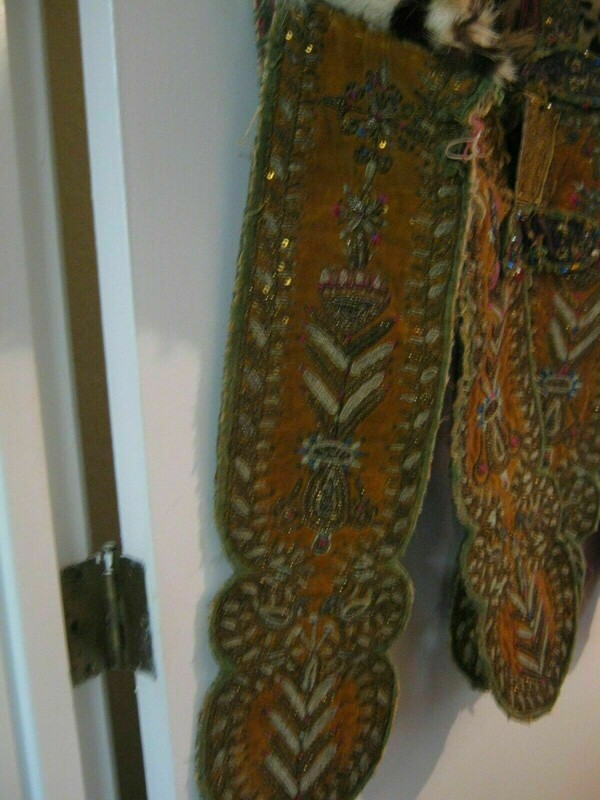 He even used to pray standing on one foot until his leg was broken. 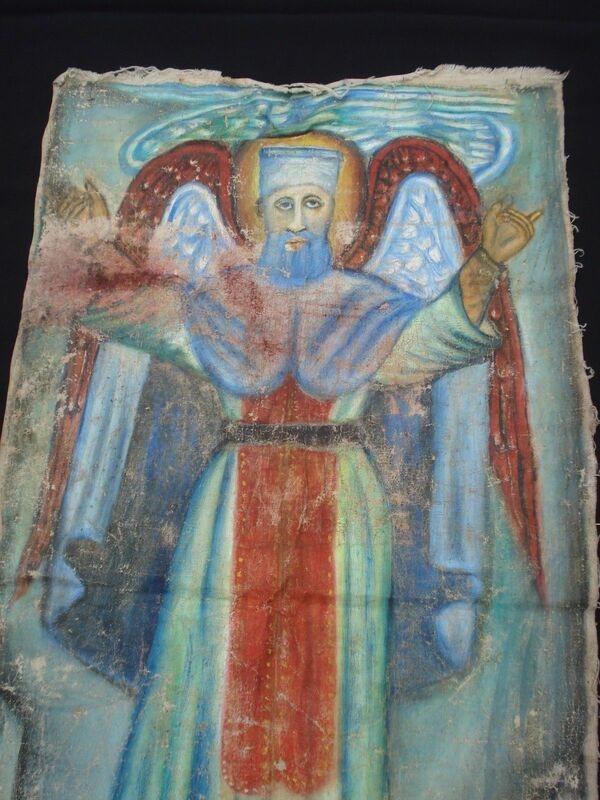 This painting comes from a rock church in Gondar. 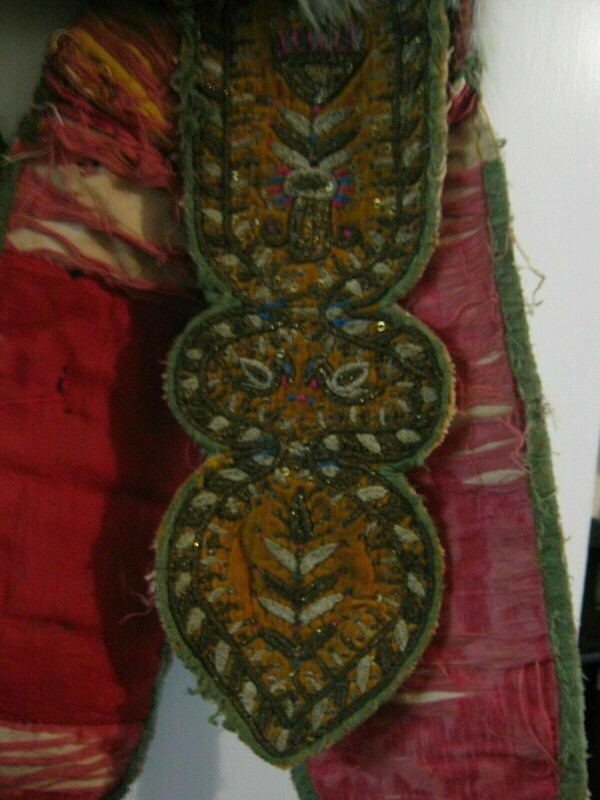 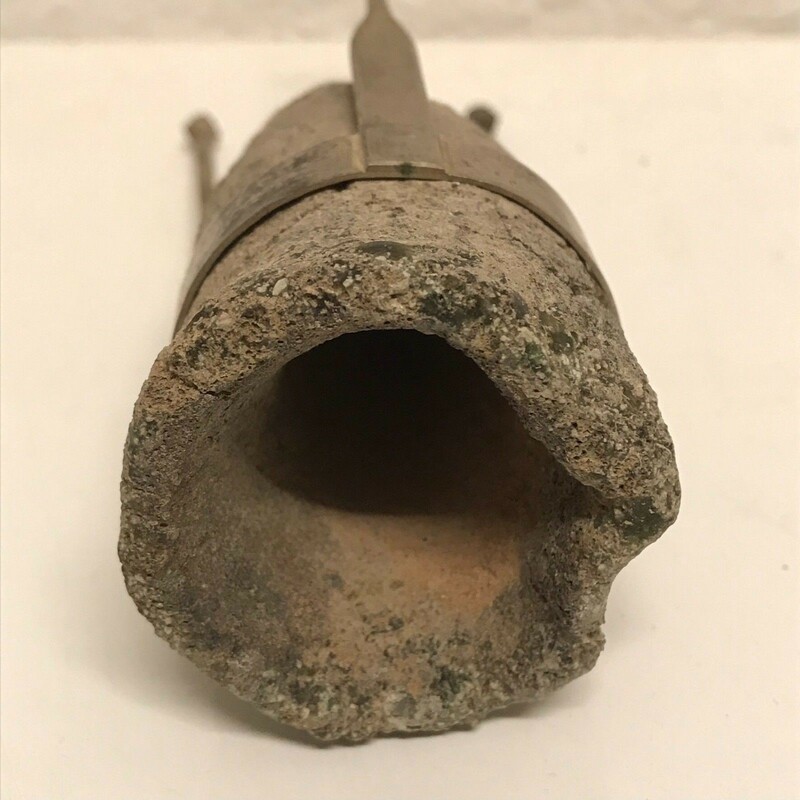 Measures 96 x 46 cm and more then 150 year old. 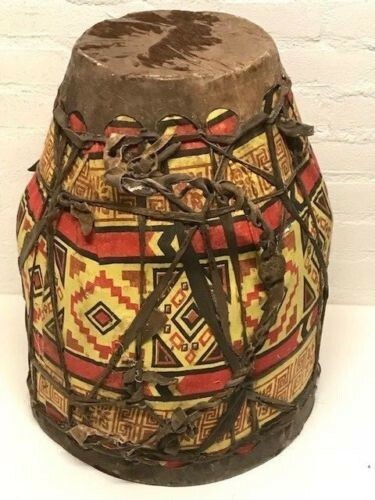 180665 - Rare Ethiopian African Ceremonial Dress - Ethiopia. 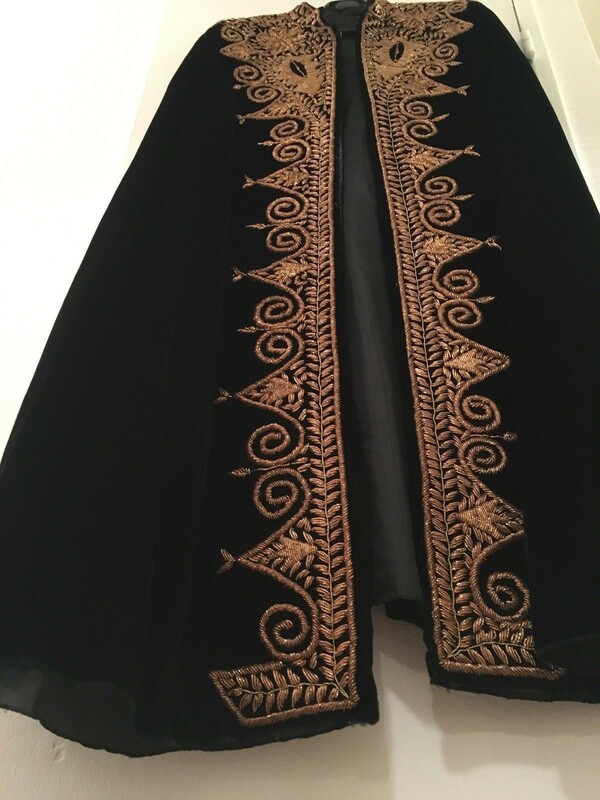 This is an rare and remarkable beautiful unisex ceremony cape, made entirely by hand in velvet fabric and sewn with gold thread. 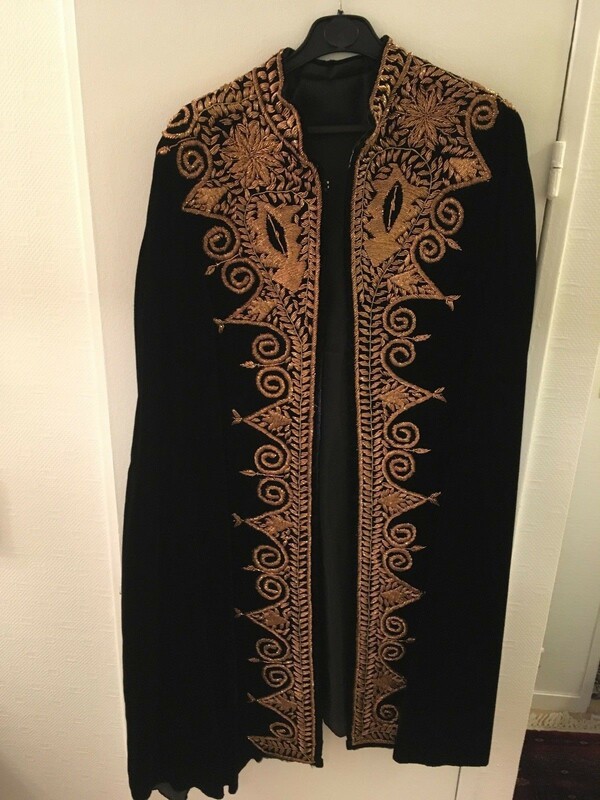 Fully lined, it is in perfect condition. 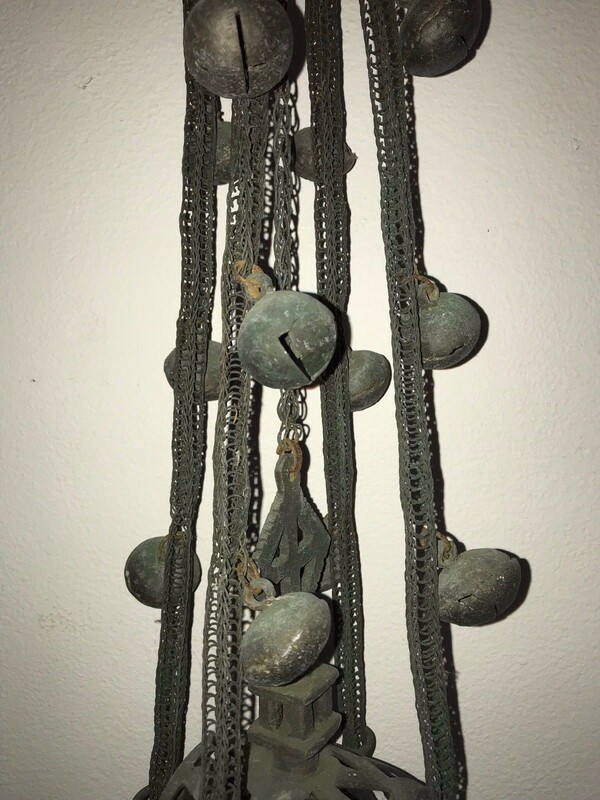 Original and authentic piece! 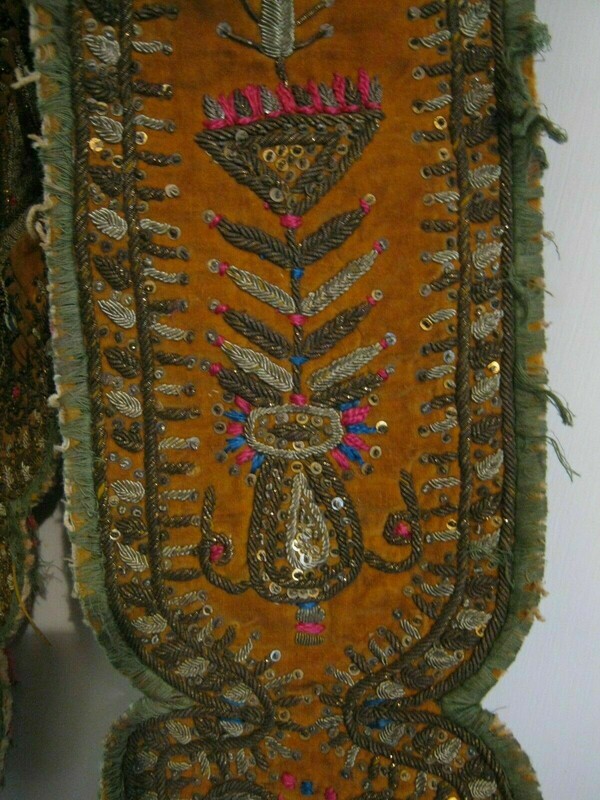 Dimensions: large size (for person measuring 1.70 cm till 1.90 cm) easily modifiable.